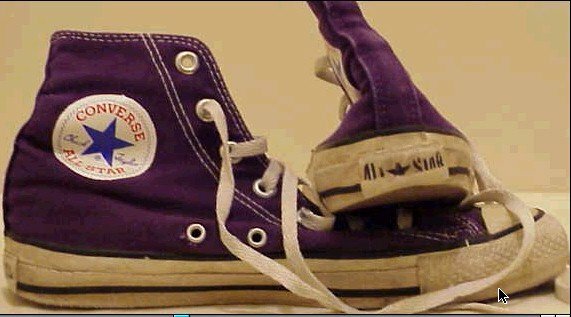 Photo gallery of different models of chucks with purple uppers. 1 Purple High Top Chucks Inside patch view of a right aster purple high top. 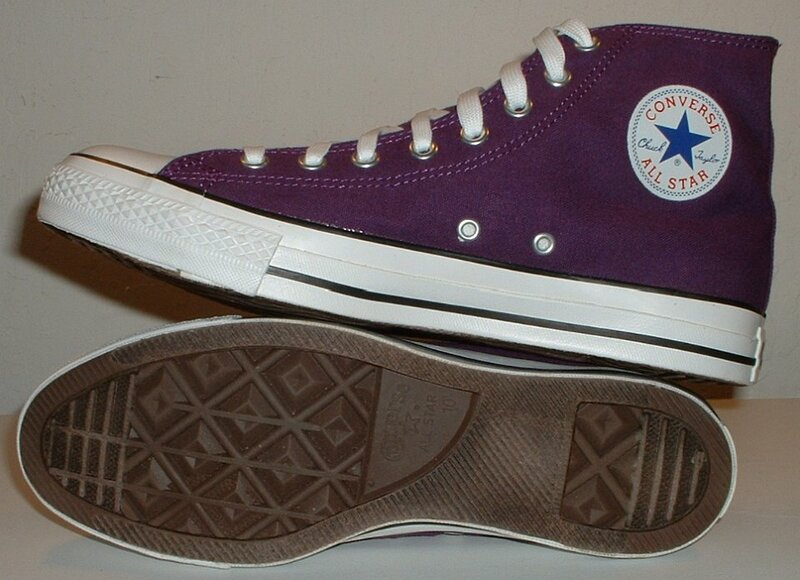 2 Purple High Top Chucks Outside view of a right aster purple high top. 3 Purple High Top Chucks Inside patch view of a left aster purple high top. 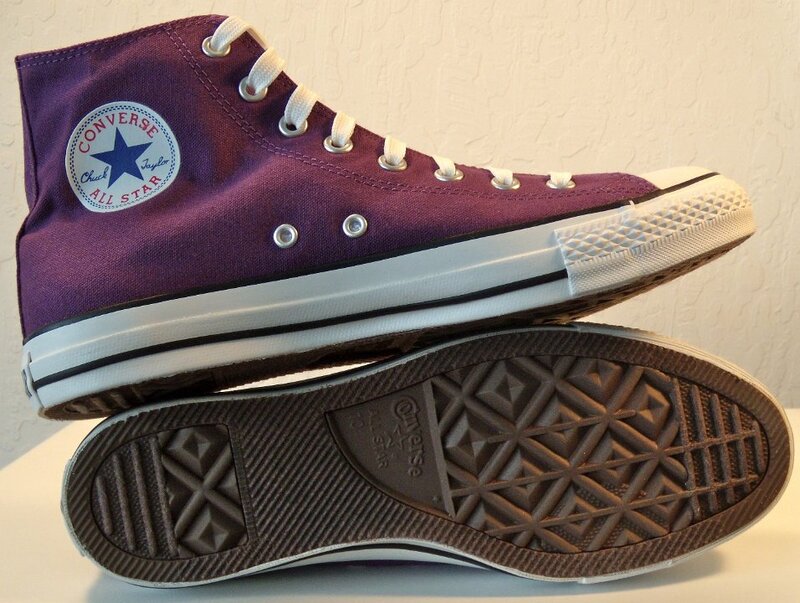 4 Purple High Top Chucks Outside view of a left aster purple high top. 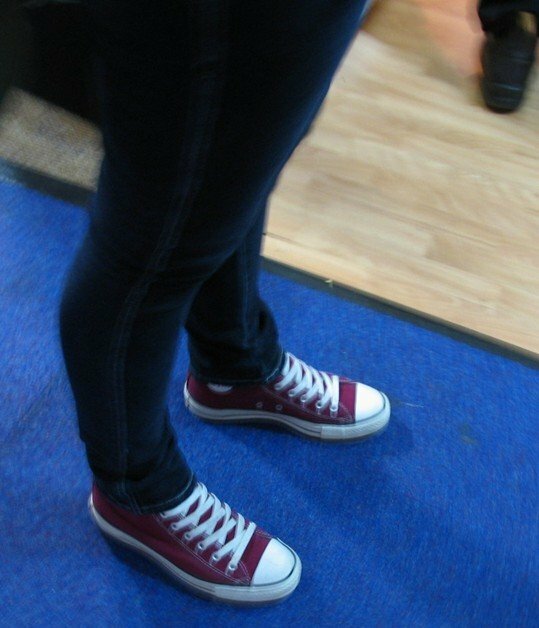 5 Purple High Top Chucks Rear view of aster purple high tops. 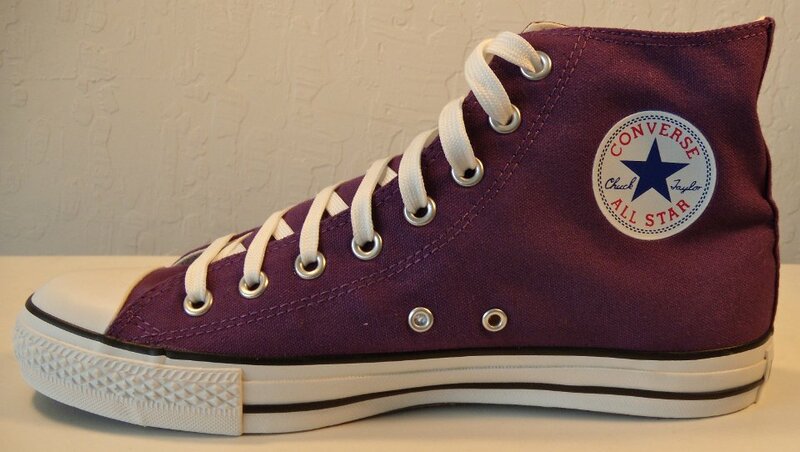 6 Purple High Top Chucks Angled rear view of aster purple high tops. 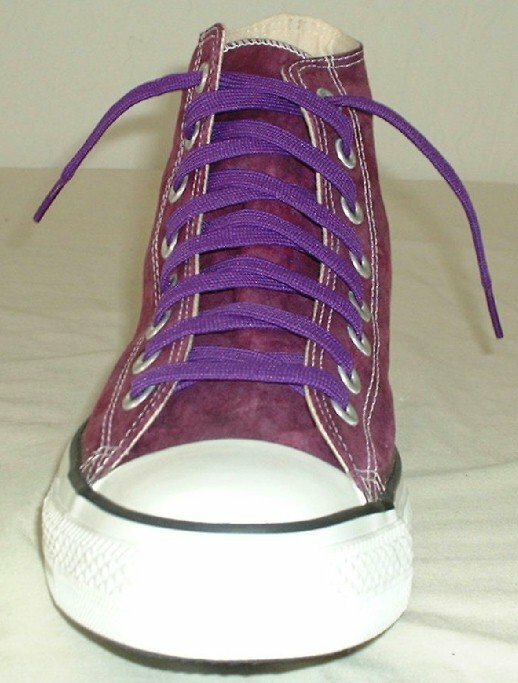 7 Purple High Top Chucks Angled side view of aster purple high tops. 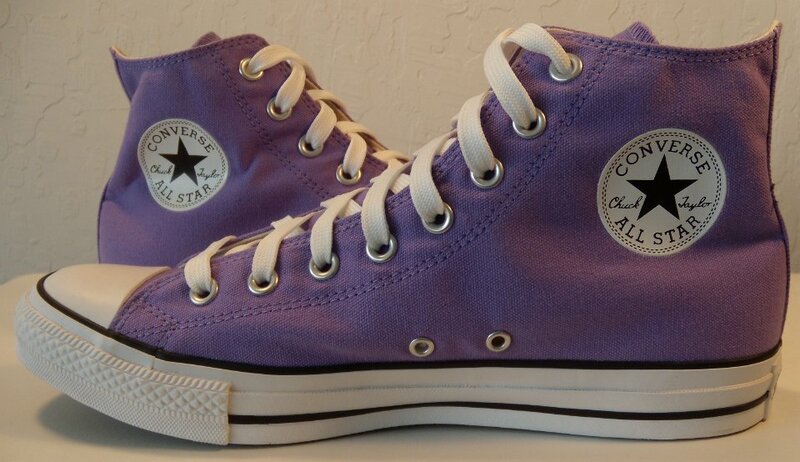 8 Purple High Top Chucks Front view of aster purple high tops. 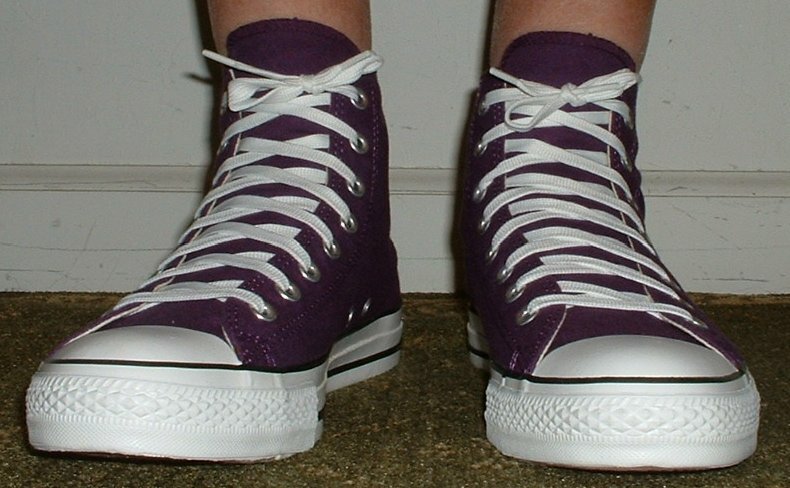 9 Purple High Top Chucks Angled front view of aster purple high tops. 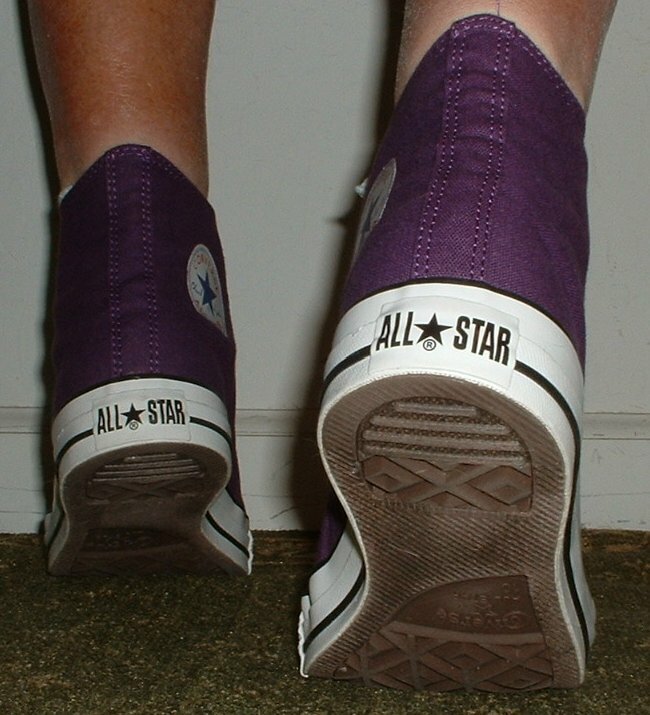 10 Purple High Top Chucks Top view of aster purple high tops. 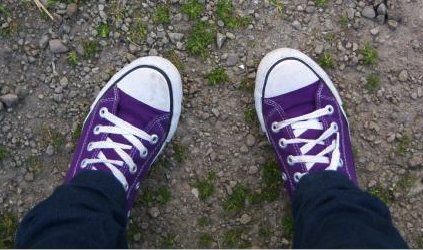 11 Purple High Top Chucks Inside patch views of aster purple high tops. 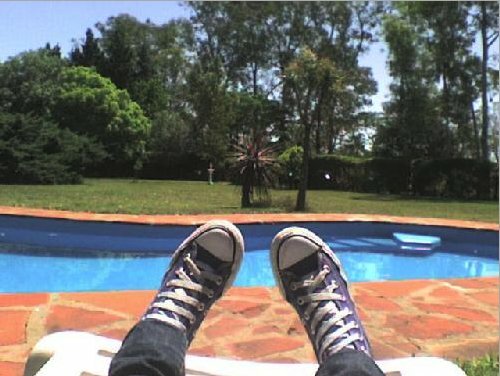 12 Purple High Top Chucks Outside views of aster purple high tops. 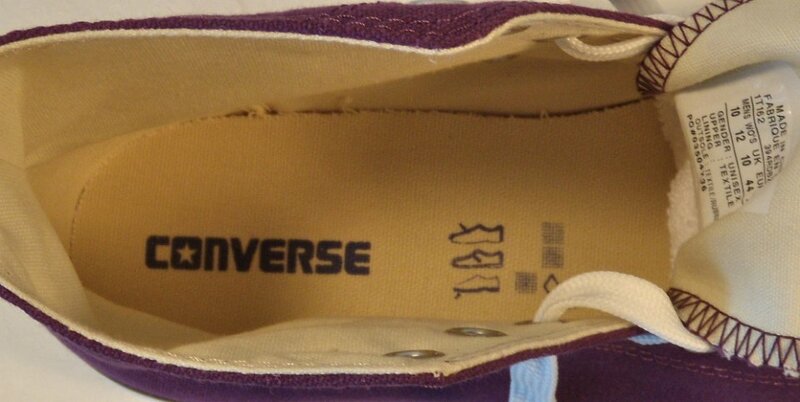 14 Purple High Top Chucks Closeup of the insole of an aster purple hightop. 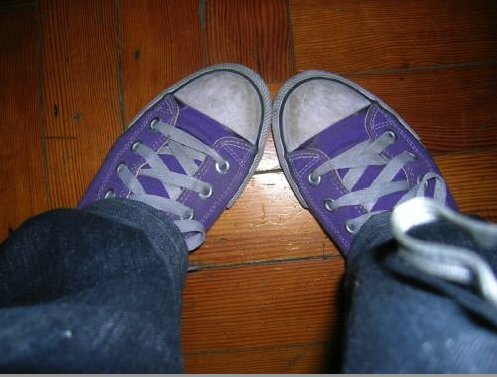 15 Purple HIgh Top Chucks Wearing grape high tops, shot 1. 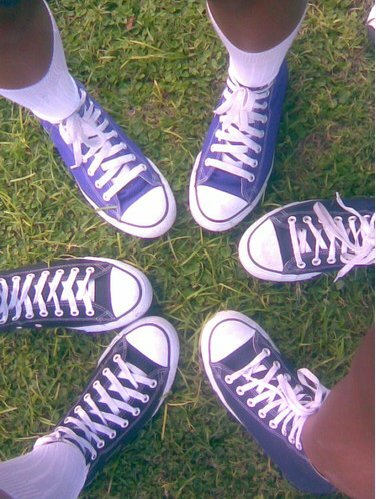 16 Purple HIgh Top Chucks Wearing grape high tops, shot 2. 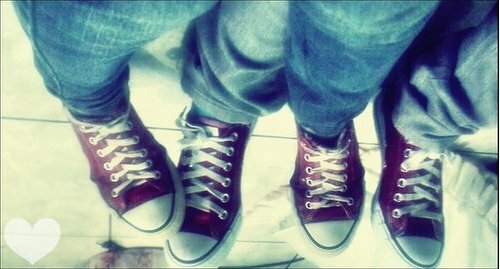 17 Purple HIgh Top Chucks Wearing grape high tops, shot 3. 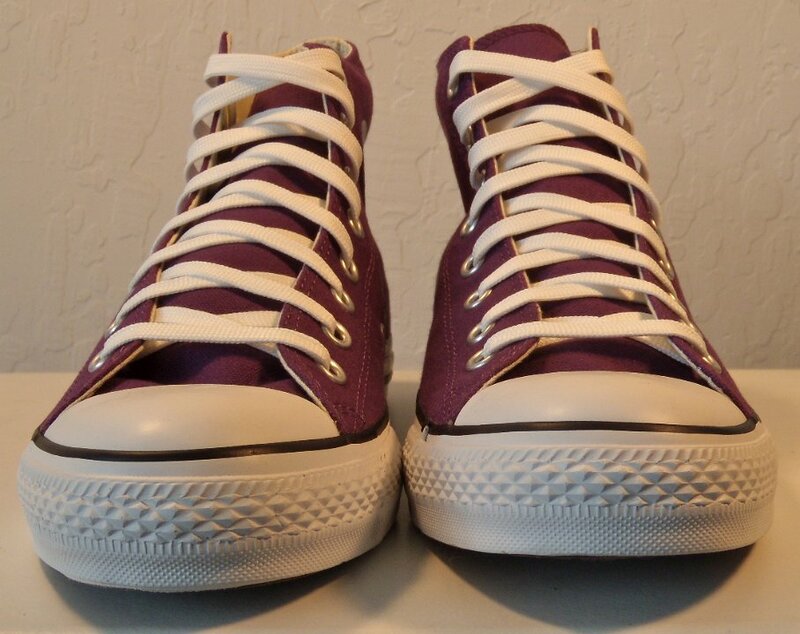 18 Purple HIgh Top Chucks Front and rear views of new grape high tops. 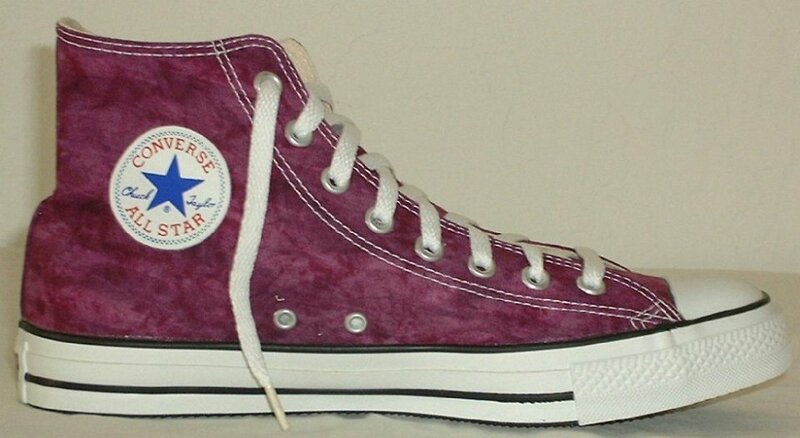 20 Purple HIgh Top Chucks Inside patch veiws of new harvest grape chucks. 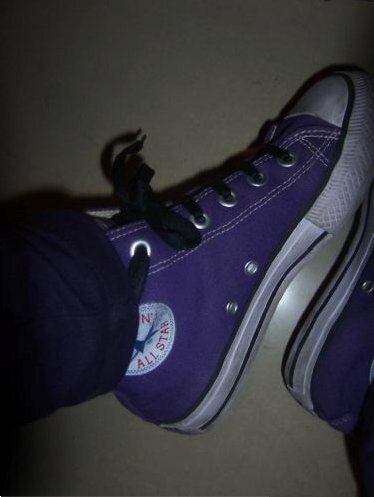 21 Purple HIgh Top Chucks Top view of light purple high tops. 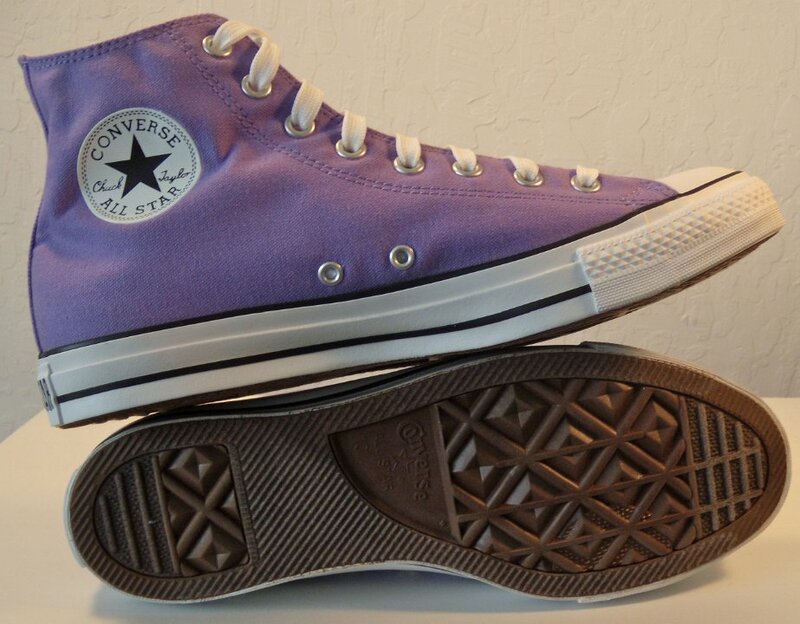 22 Purple HIgh Top Chucks Angled inside patch and sole views of light purple high tops. 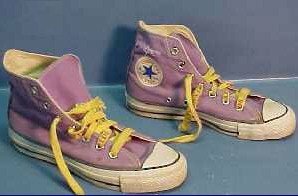 23 Purple HIgh Top Chucks Light purple high tops with yellow laces, shot 1. 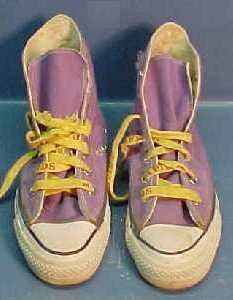 24 Purple HIgh Top Chucks Light purple high tops with yellow laces, shot 2. 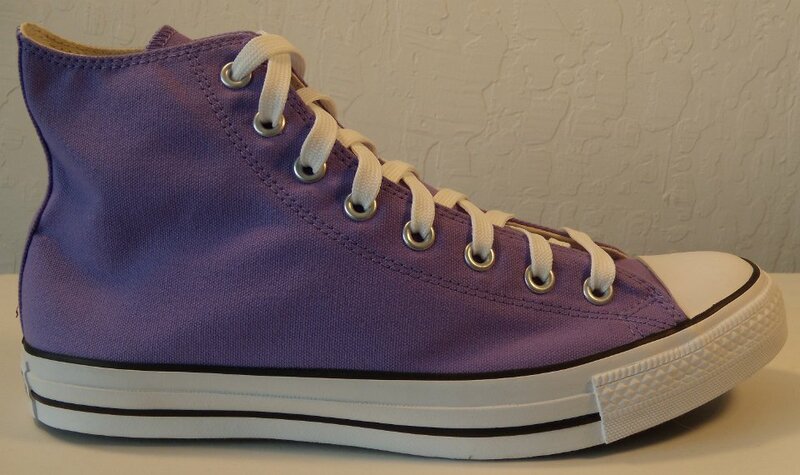 25 Purple HIgh Top Chucks Angled side view of light purple high top chucks. 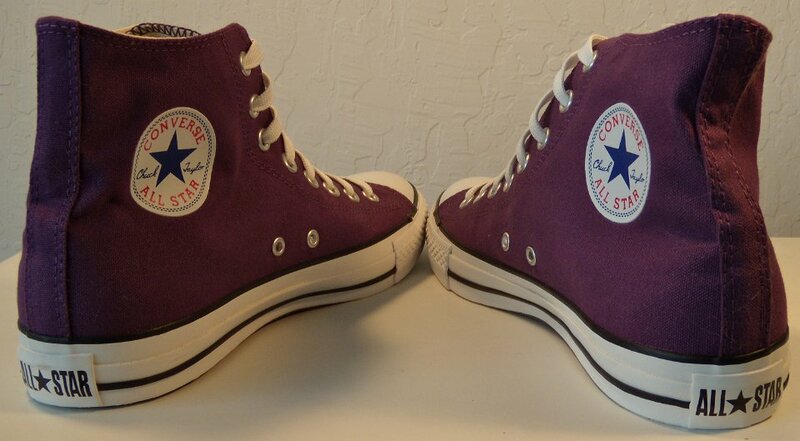 26 Purple HIgh Top Chucks Front and rear views of light purple high top chucks. 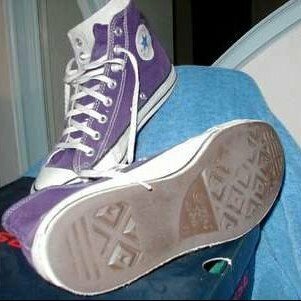 27 Purple HIgh Top Chucks Inside patch and sole views of light purple chucks. 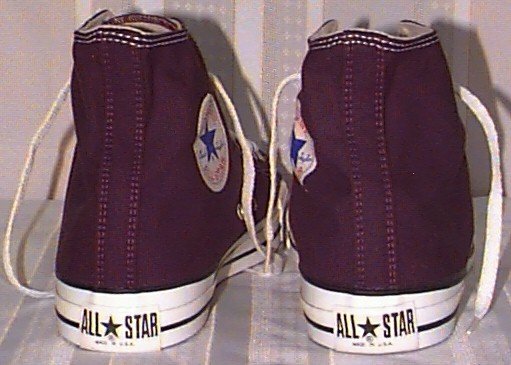 28 Purple HIgh Top Chucks Rear and inside patch views of light purple chucks. 29 Purple HIgh Top Chucks Closeup view of light purple chucks. 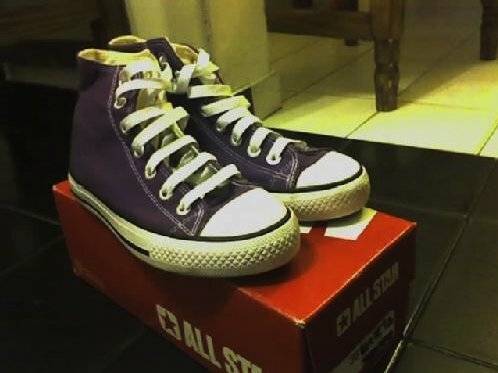 30 Purple HIgh Top Chucks Catalog view of a right light purple high top. 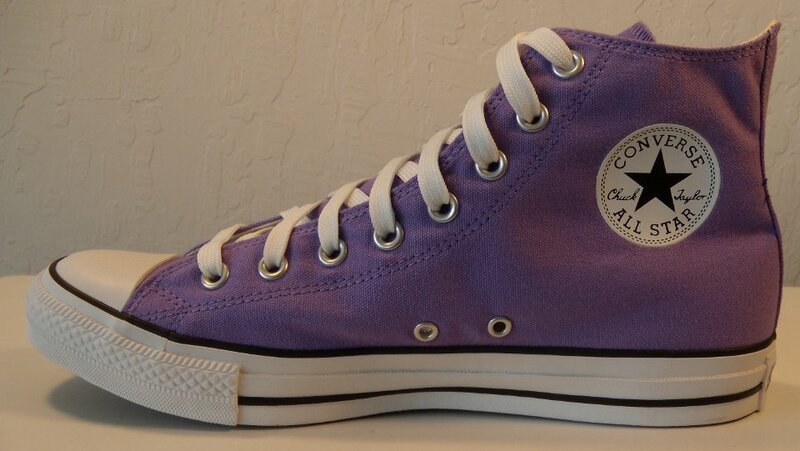 31 Purple HIgh Top Chucks Inside patch and rear views of lilac chucks. 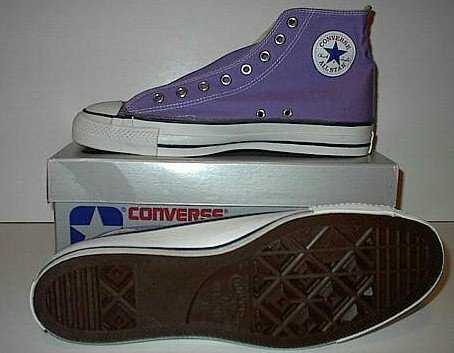 32 Purple HIgh Top Chucks Inside patch and sole views of lilac chucks. 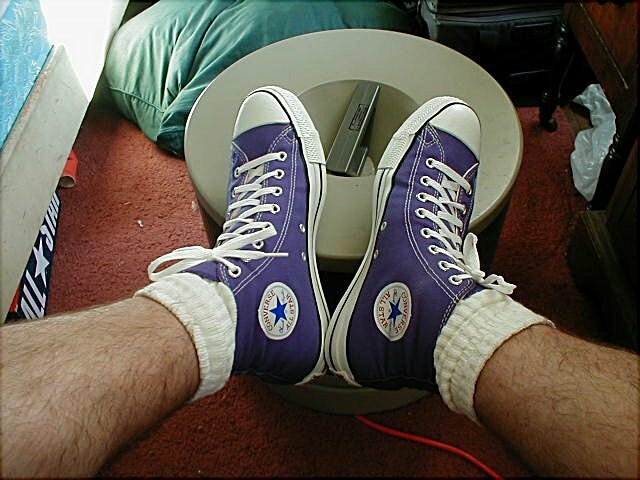 33 Purple HIgh Top Chucks Top views of lilac chucks. 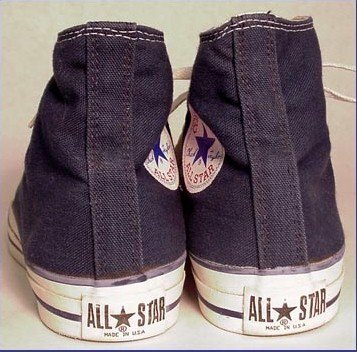 34 Purple HIgh Top Chucks Top and angled rear view of lilac chucks. 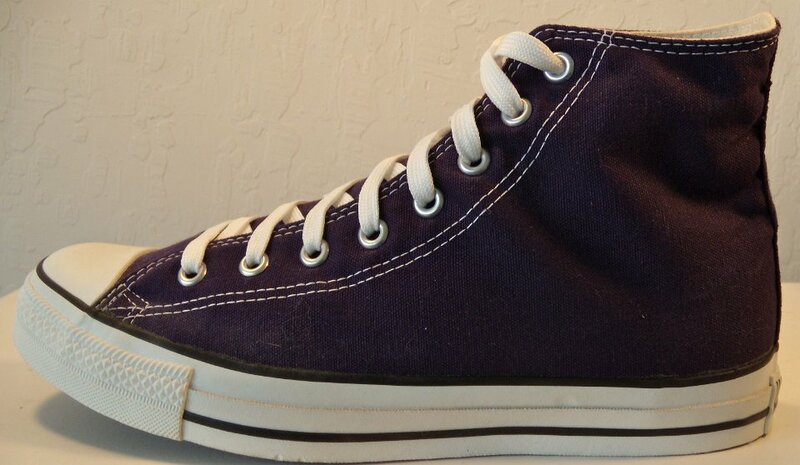 35 Purple High Top Chucks Inside patch view of a right port royale high top. 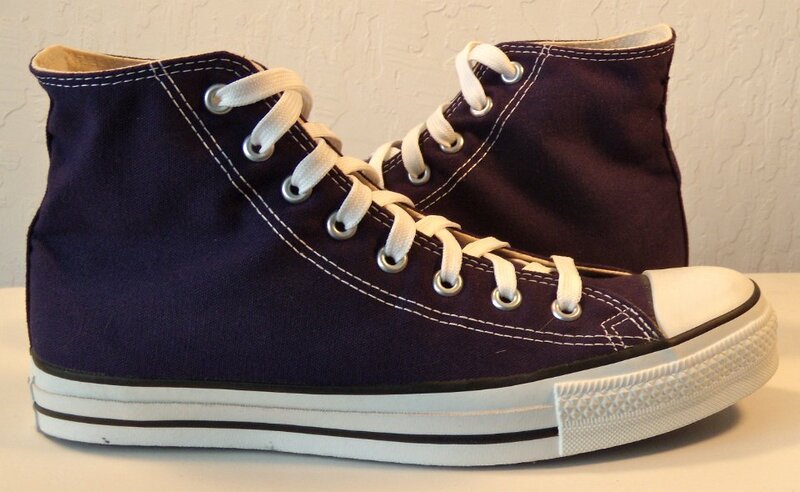 36 Purple High Top Chucks Outside view of a right port royale high top. 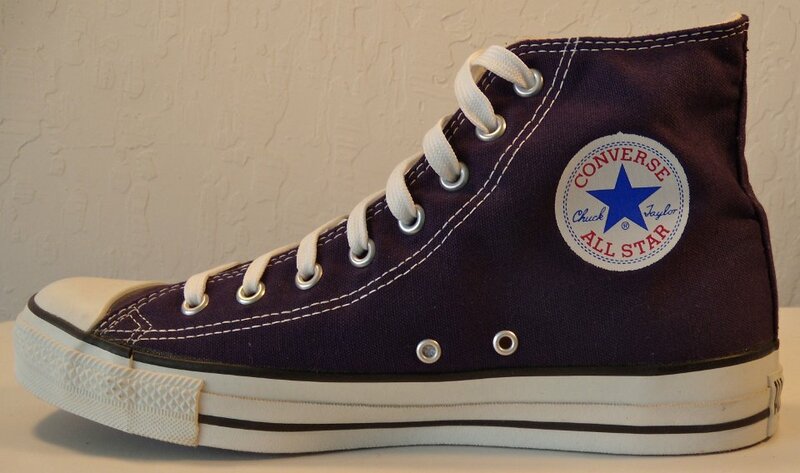 37 Purple High Top Chucks Outside view of a left port royale high top. 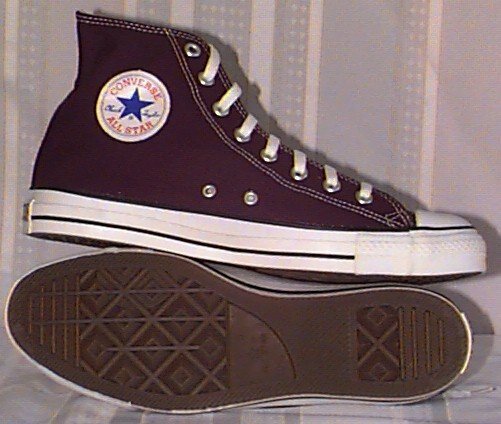 38 Purple High Top Chucks Inside patch view of a left port royale high top. 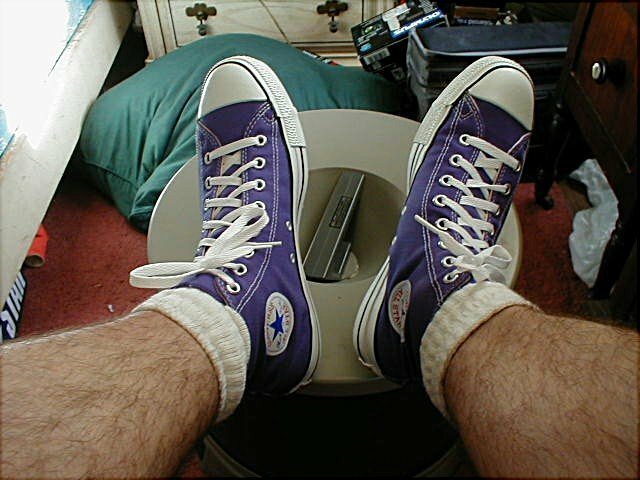 39 Purple High Top Chucks Rear view of Port Royale high tops. 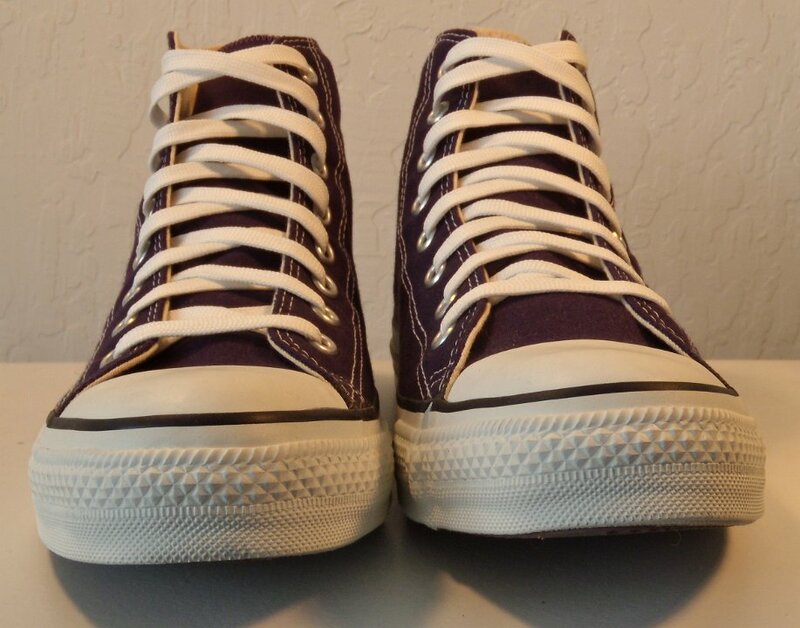 40 Purple High Top Chucks Angled rear view of Port Royale high tops. 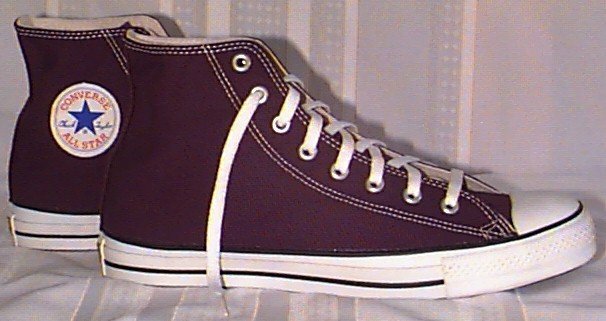 41 Purple High Top Chucks Angled side view of Port Royale high tops. 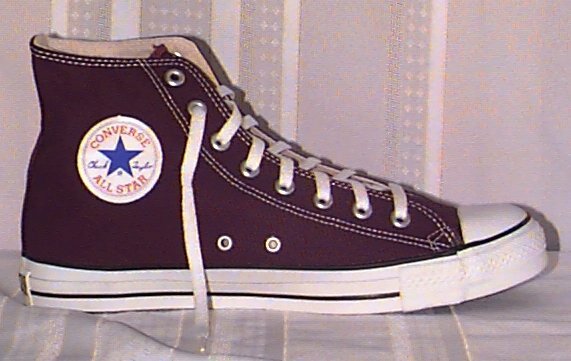 42 Purple High Top Chucks Front view of Port Royale high tops. 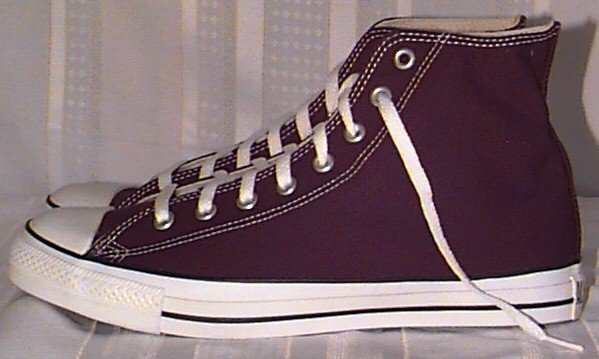 43 Purple High Top Chucks Angled front view of Port Royale high tops. 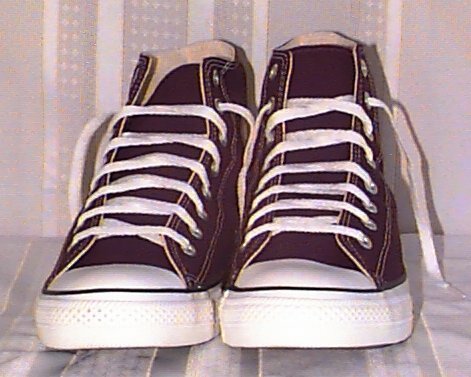 44 Purple High Top Chucks Top view of Port Royale high tops. 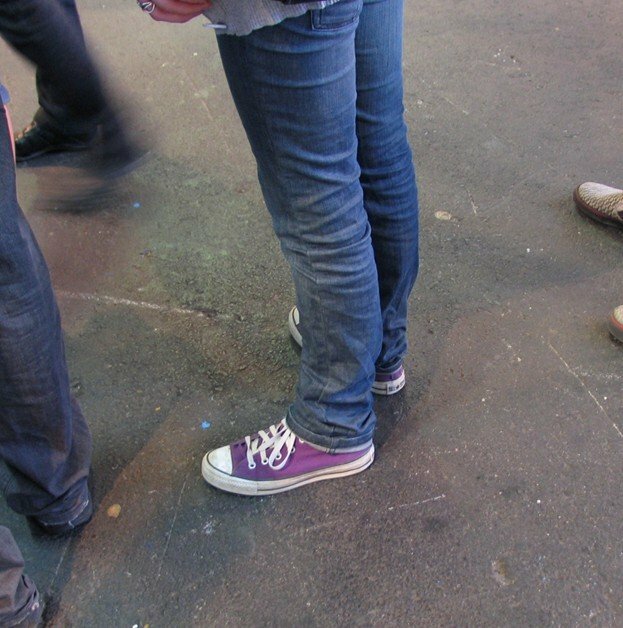 45 Purple High Top Chucks Inside patche views of Port Royale high tops. 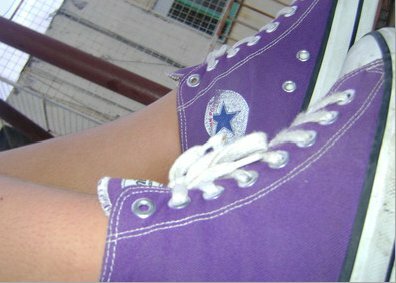 46 Purple High Top Chucks Outside views of Port Royale high tops. 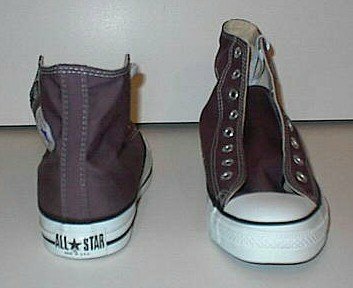 47 Purple High Top Chucks Inside patch and sole views of Port Royale high tops. 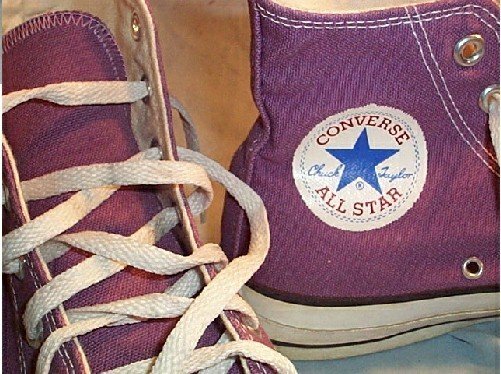 48 Purple High Top Chucks Closeup of the insole of a port royale hightop. 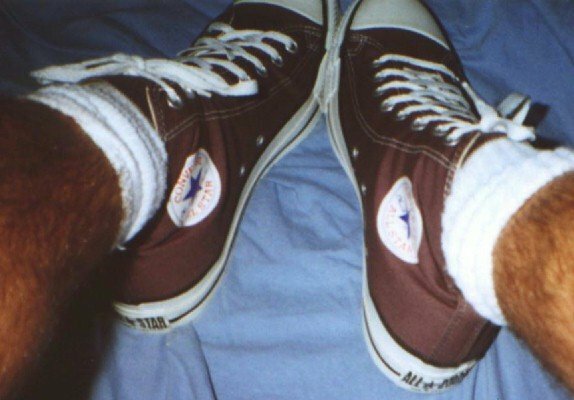 49 Purple HIgh Top Chucks Wearing Port Royale high tops. 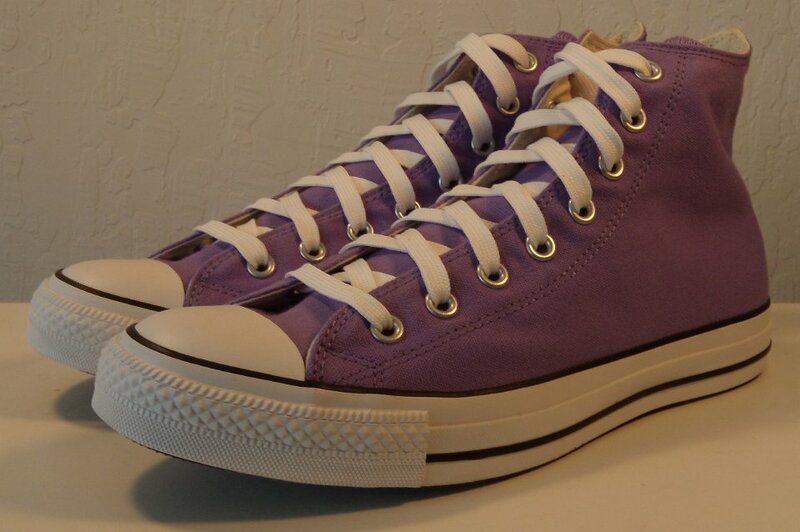 50 Purple HIgh Top Chucks Side and rear views of purple high tops. 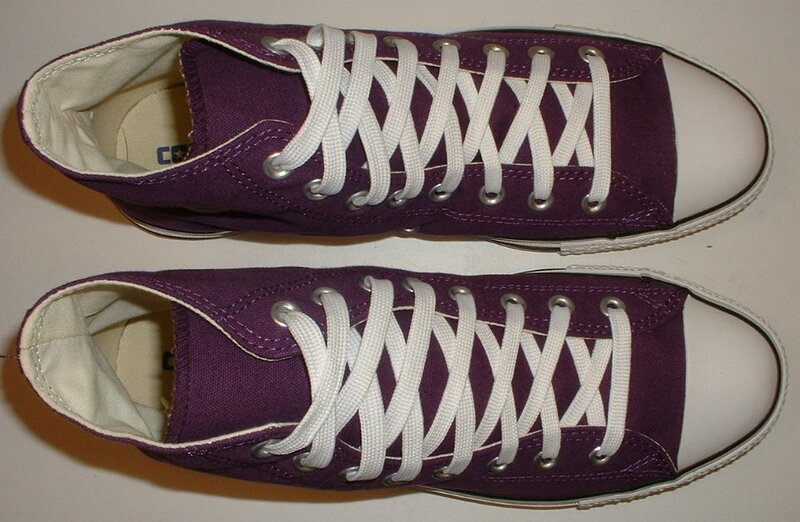 51 Purple HIgh Top Chucks Angle side view of purple high tops with purple laces. 52 Purple HIgh Top Chucks Angled side view of purple high tops. 53 Purple HIgh Top Chucks Side and rear views of purple high tops. 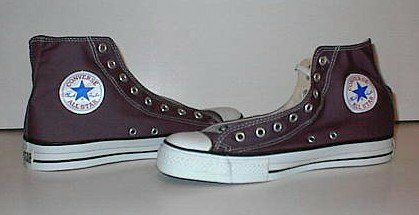 54 Purple HIgh Top Chucks In side patch and sole views of purple high tops. 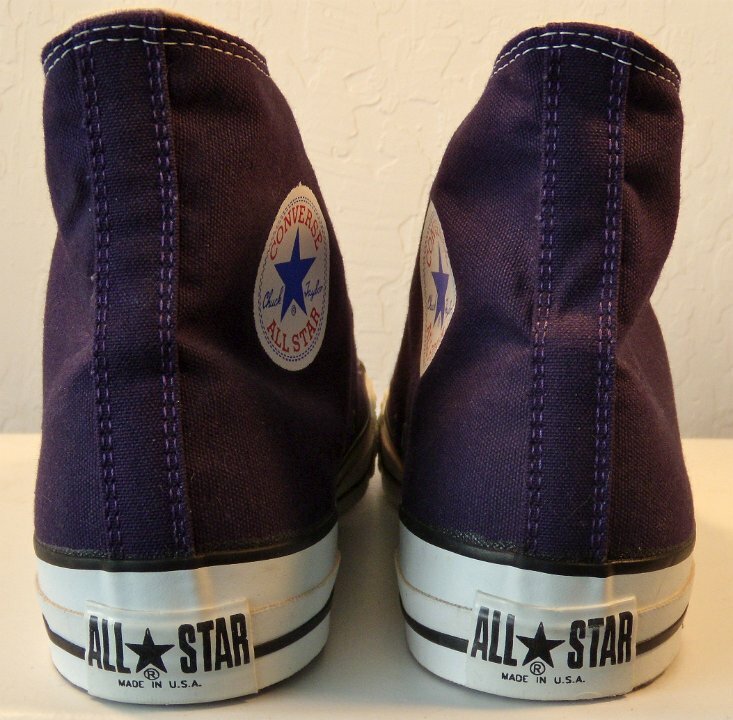 56 Purple HIgh Top Chucks Front and rear views of purple high tops. 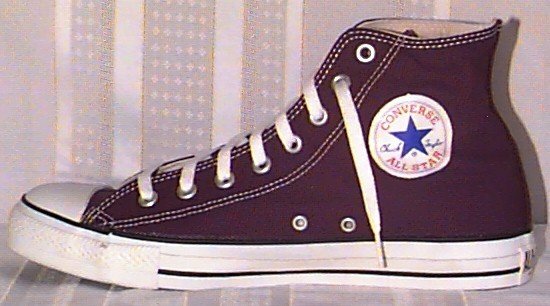 57 Purple HIgh Top Chucks Rage and dark purple high tops, shot 1. 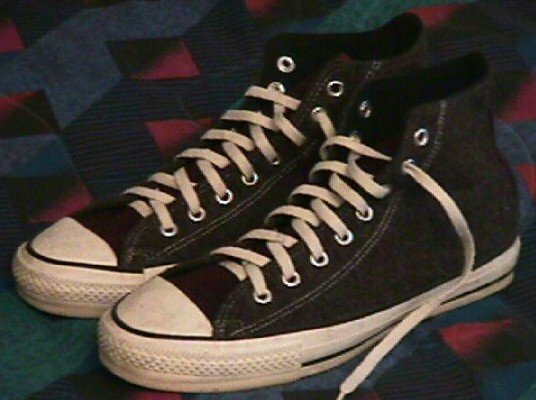 58 Purple HIgh Top Chucks Rage and dark purple high tops, shot 2. 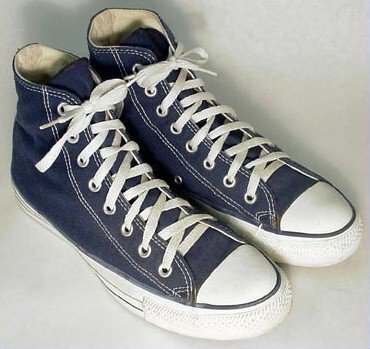 59 Purple HIgh Top Chucks Rage and dark purple high tops, shot 3. 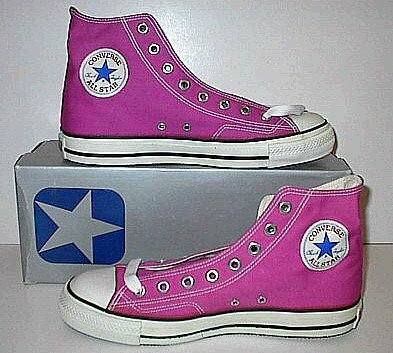 60 Purple HIgh Top Chucks Rage and dark purple high tops, shot 4. 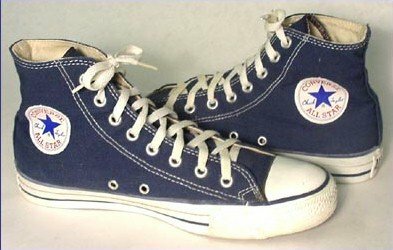 61 Purple HIgh Top Chucks Rage and dark purple high tops, shot 5. 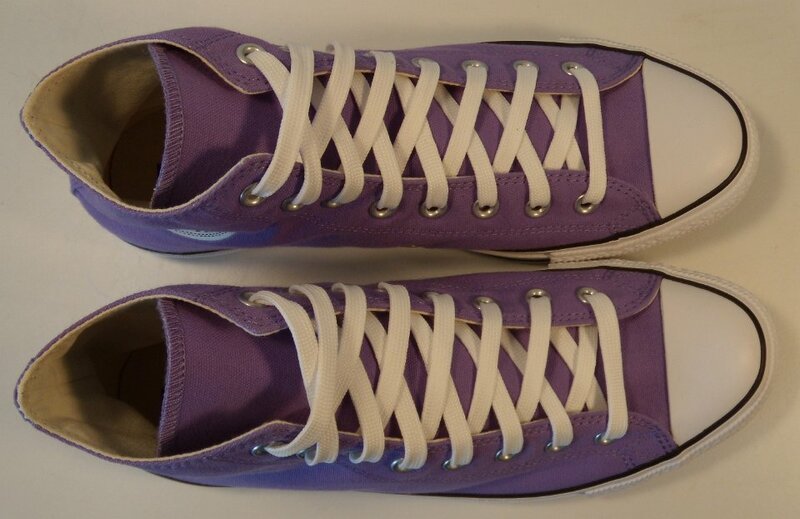 62 Purple HIgh Top Chucks Purple high tops, angled top view. 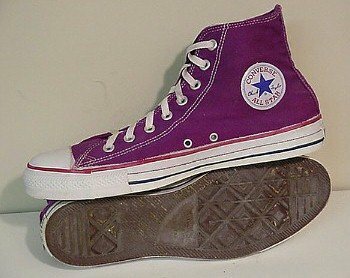 63 Purple HIgh Top Chucks Purple high tops angled side views. 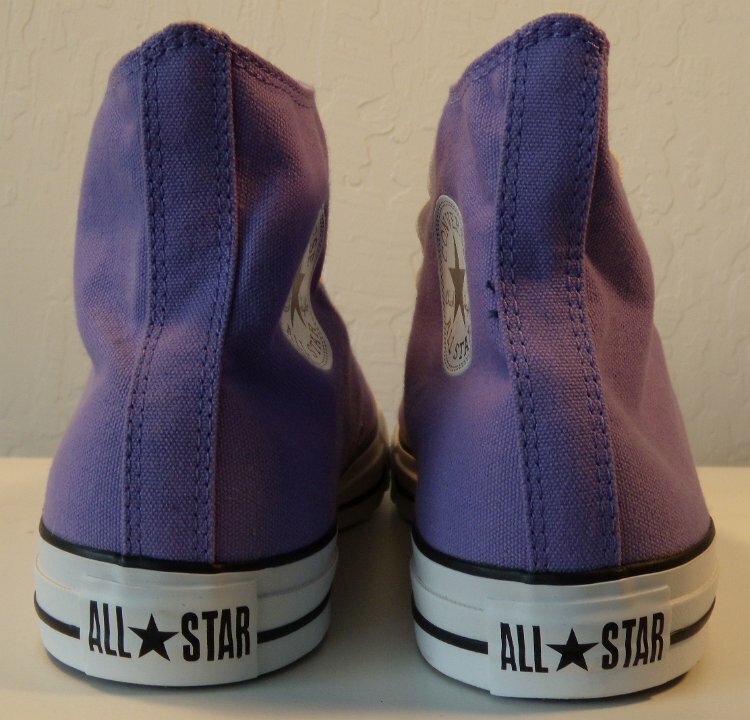 64 Purple HIgh Top Chucks Purple high tops top view. 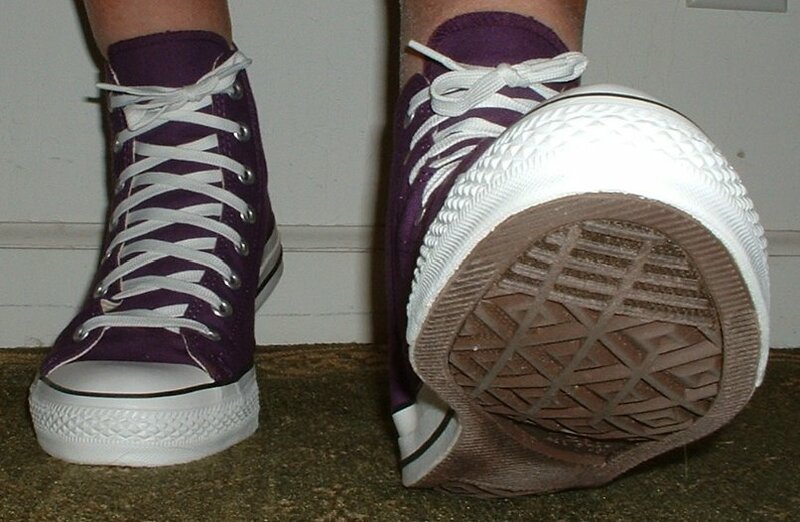 65 Purple HIgh Top Chucks Purple high tops, rear view. 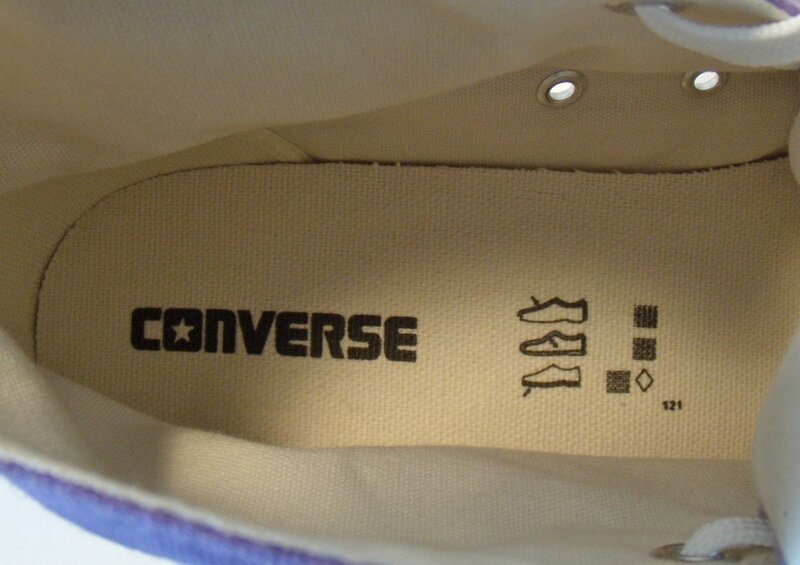 66 Purple HIgh Top Chucks Insole view of purple high tops. 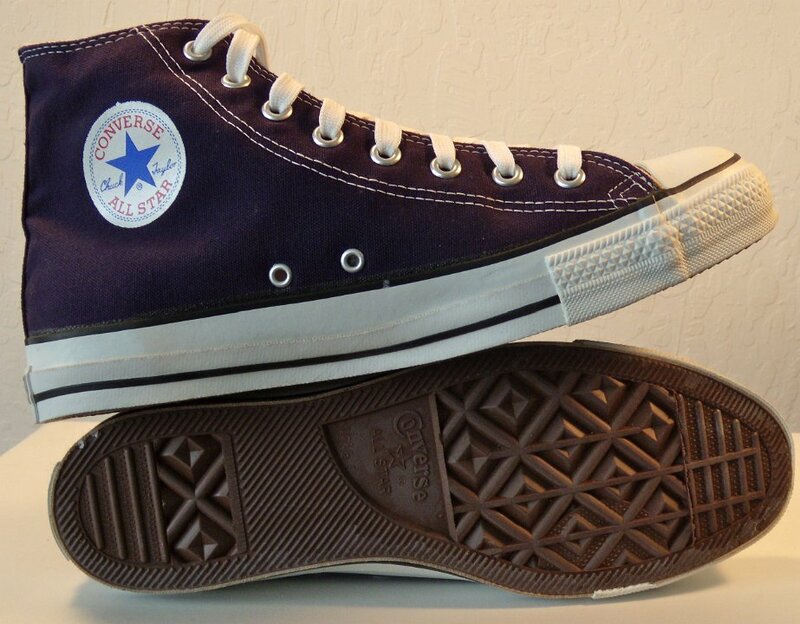 67 Purple High Top Chucks Angled side view of vintage purple high tops. 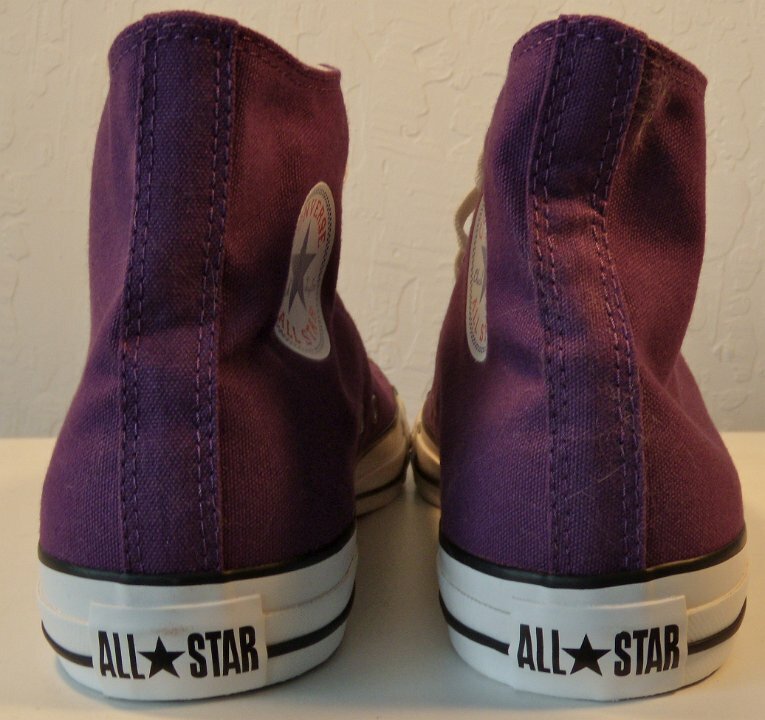 68 Purple High Top Chucks Inside patch view of a right purple passion high top. 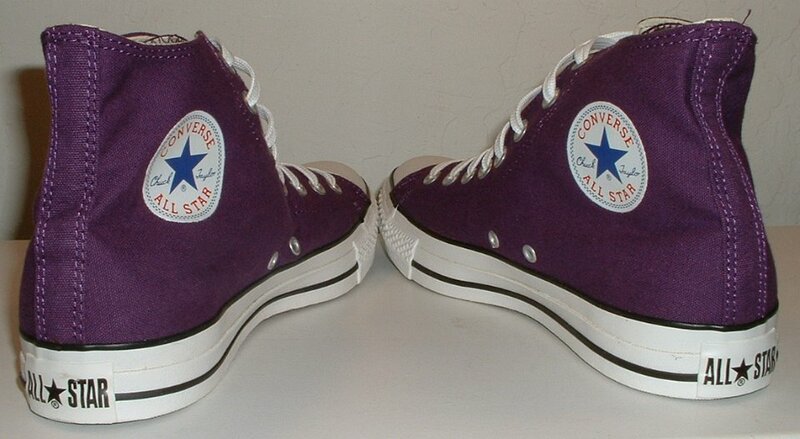 69 Purple High Top Chucks Outside view of a right purple passion high top. 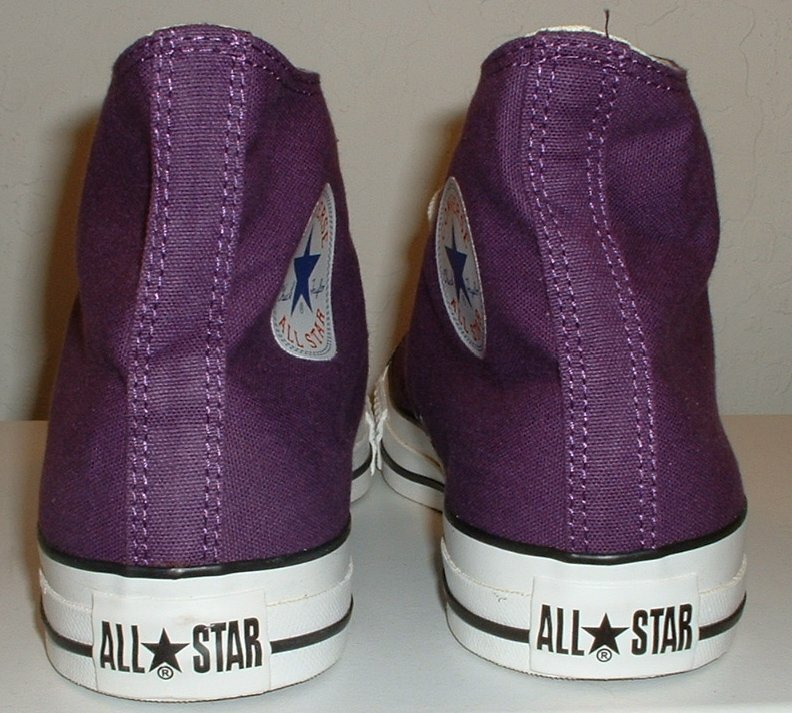 70 Purple High Top Chucks Inside patch view of a left purple passion high top. 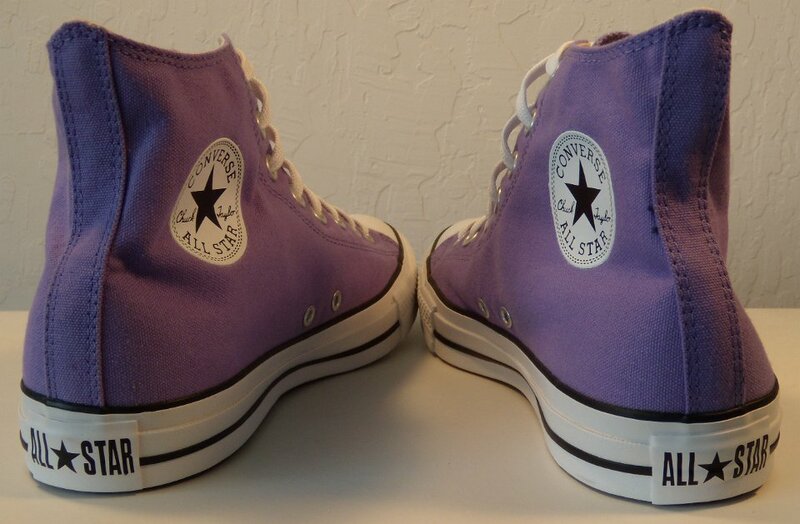 71 Purple High Top Chucks Outside view of a left purple passion high top. 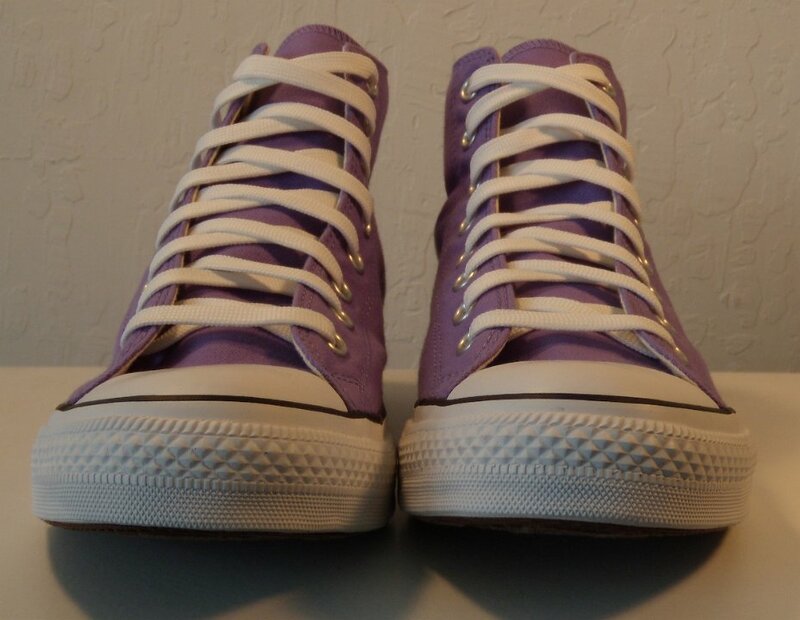 72 Purple High Top Chucks Rear view of purple passion high tops. 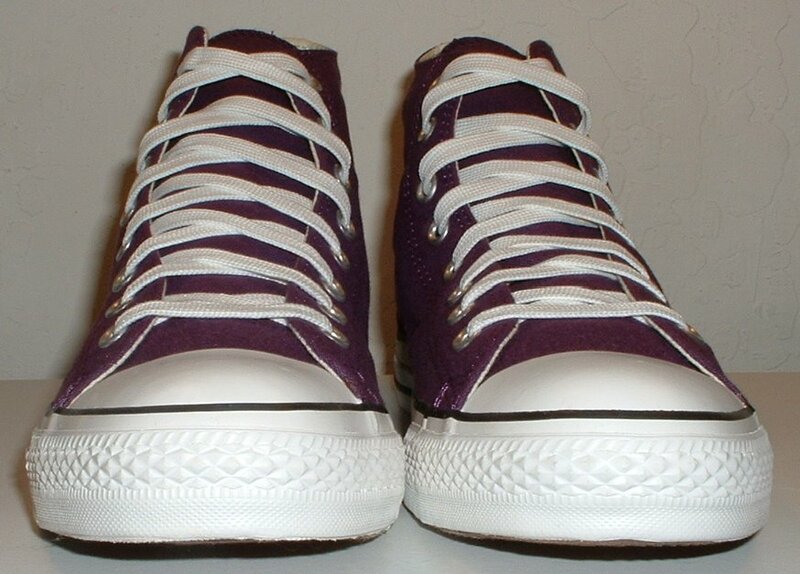 73 Purple High Top Chucks Angled rear view of purple passion high tops. 74 Purple High Top Chucks Angled side view of purple passion high tops. 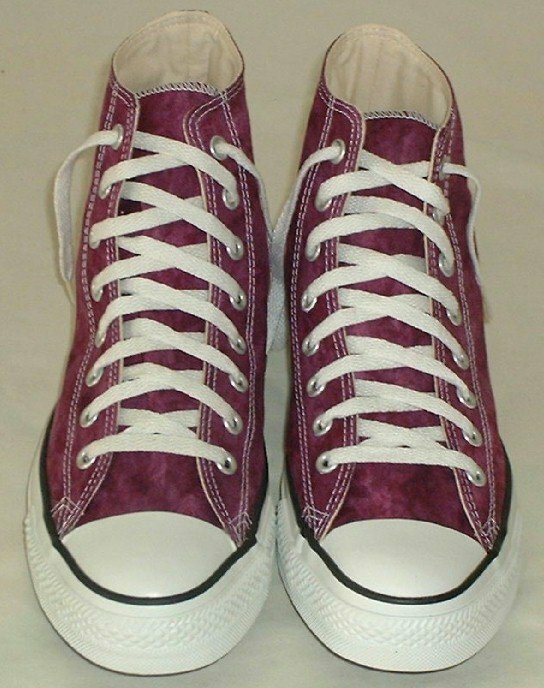 75 Purple High Top Chucks Front view of purple passion high tops. 76 Purple High Top Chucks Angled front view of purple passion high tops. 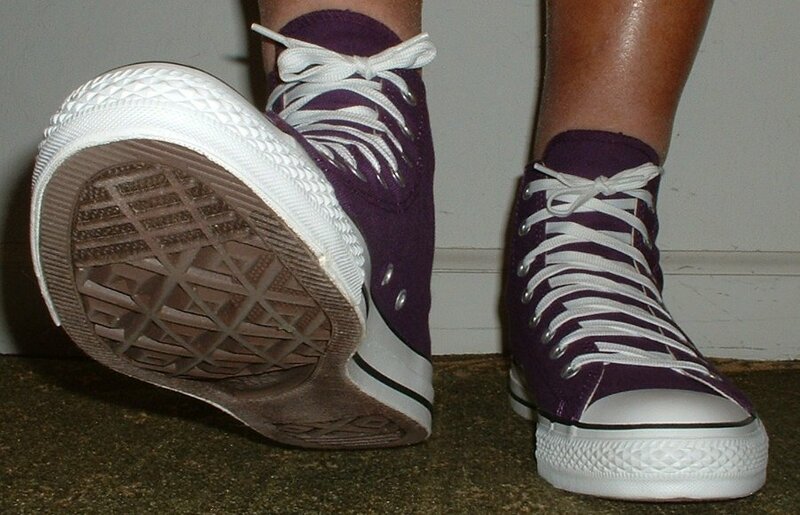 77 Purple High Top Chucks Top view of purple passion high tops. 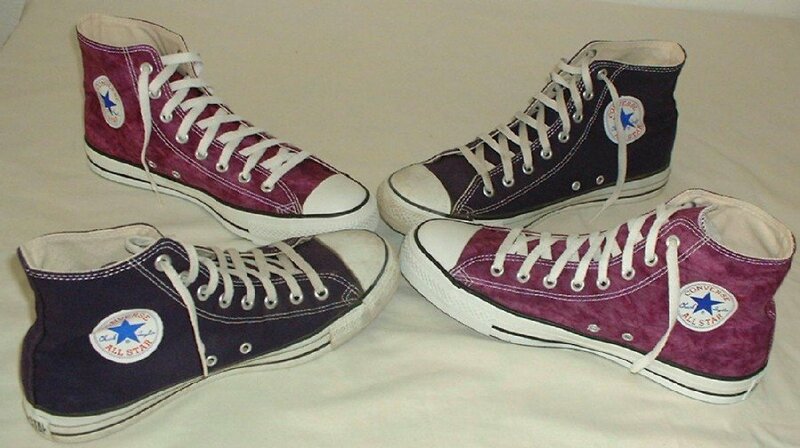 78 Purple High Top Chucks Inside patch views of purple passion high tops. 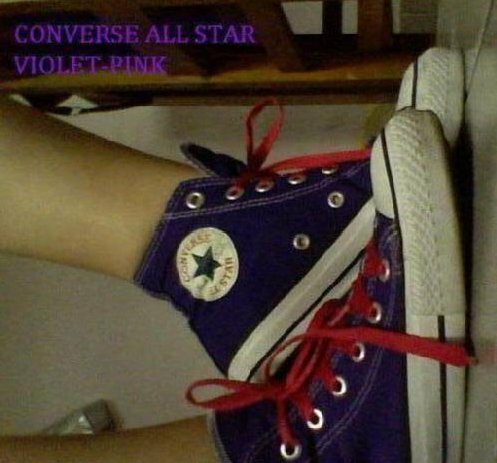 79 Purple High Top Chucks Outside views of purple passion high tops. 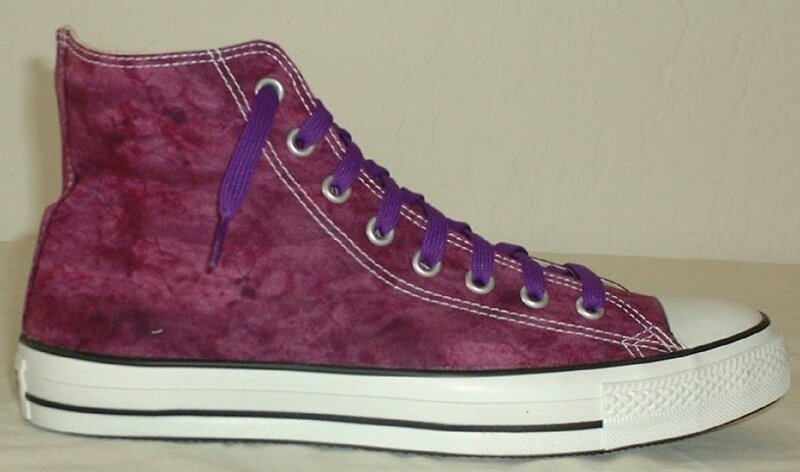 80 Purple High Top Chucks Inside patch and sole views of purple passion high tops. 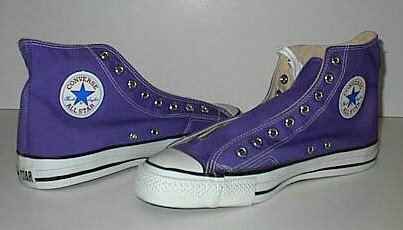 81 Purple High Top Chucks Wearing purple passion high tops, front view 1. 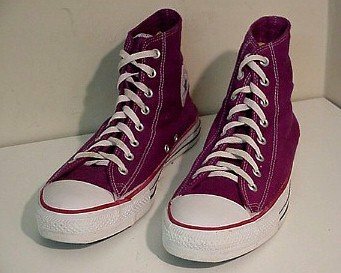 82 Purple High Top Chucks Wearing purple passion high tops, front view 2. 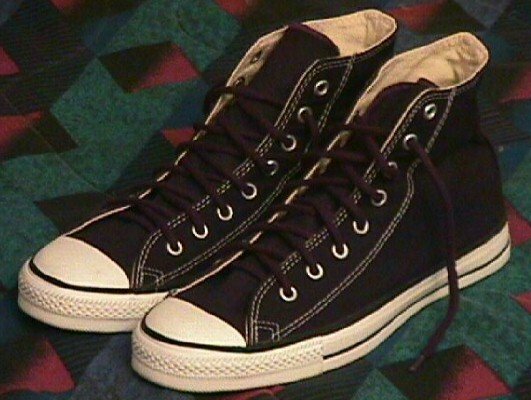 83 Purple High Top Chucks Wearing purple passion high tops, front view 3. 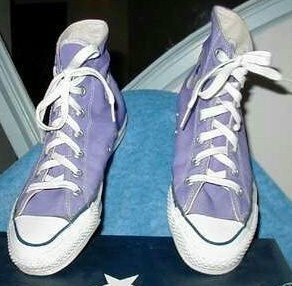 85 Purple High Top Chucks Wearing purple passion high tops, right side view 2. 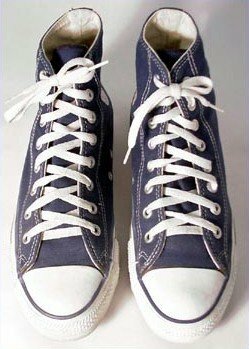 87 Purple High Top Chucks Wearing purple passion high tops, rear view 2. 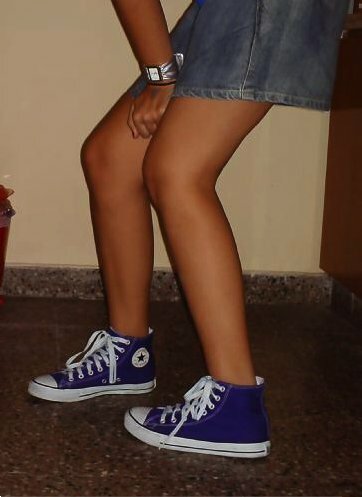 88 Purple High Top Chucks Wearing purple passion high tops, rear view 3. 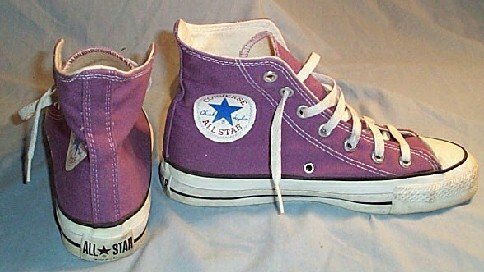 89 Purple High Top Chucks Wearing purple passion high tops, left side view 1. 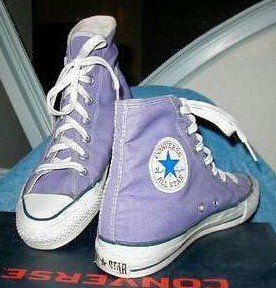 90 Purple High Top Chucks Wearing purple passion high tops, left side view 2. 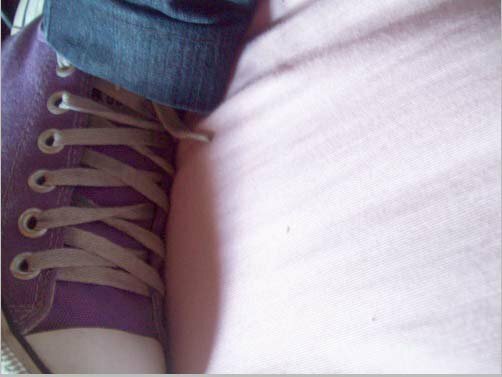 91 Purple HIgh Top Chucks Sole view of a purple satin high top. 92 Purple HIgh Top Chucks Inside patch view of a right purple tie dye high top. 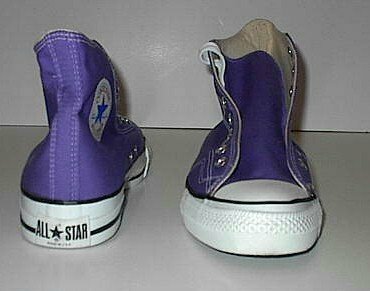 93 Purple HIgh Top Chucks Outside view of a left purple tie dye high top. 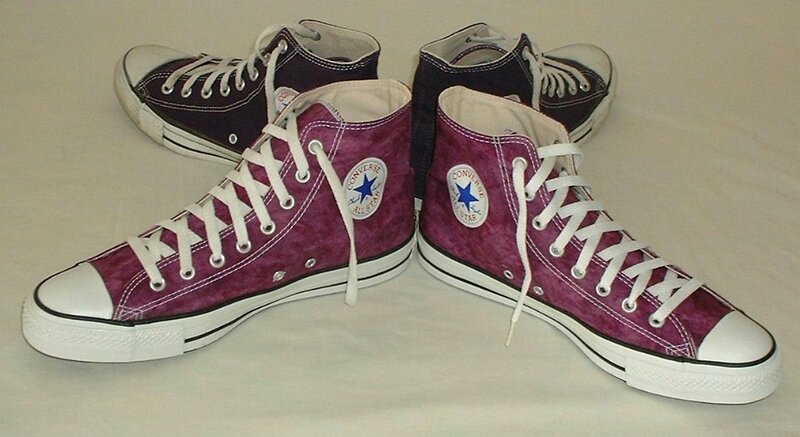 94 Purple HIgh Top Chucks Outside view of a right purple tie dye high top. 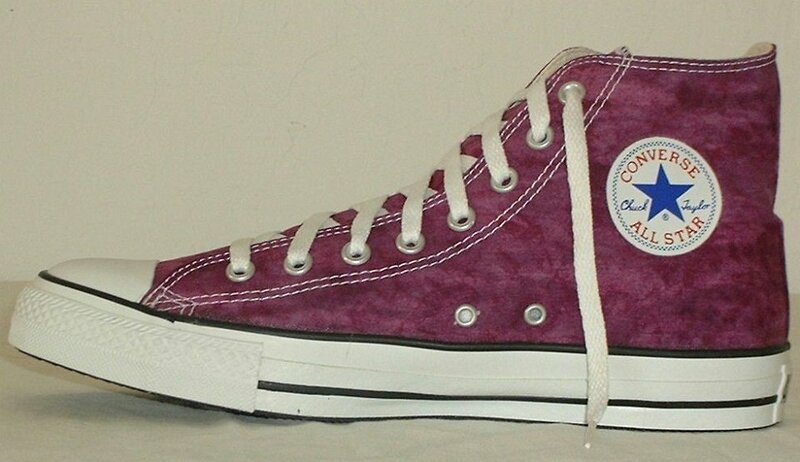 95 Purple HIgh Top Chucks Inside patch view of a left purple tie dye high top. 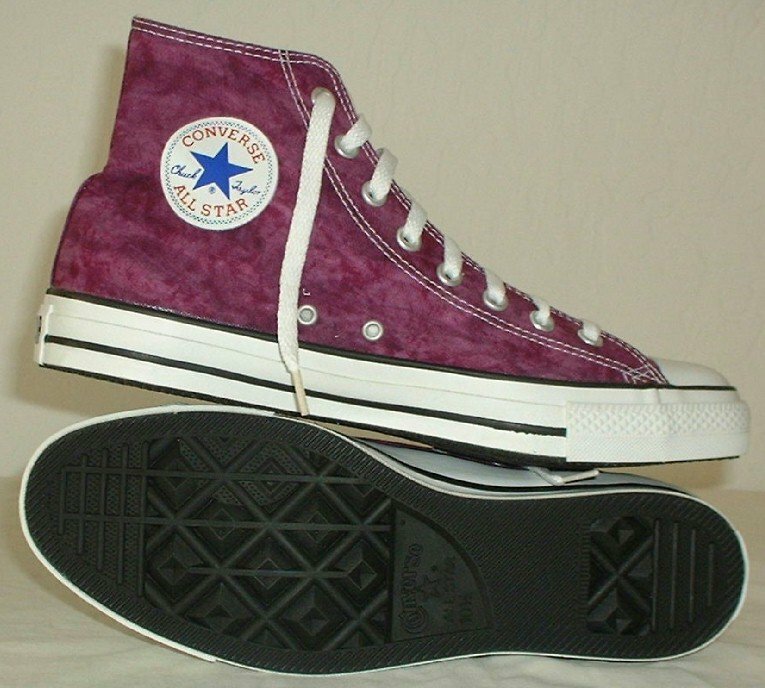 96 Purple HIgh Top Chucks Angled front view of purple tie dye high tops. 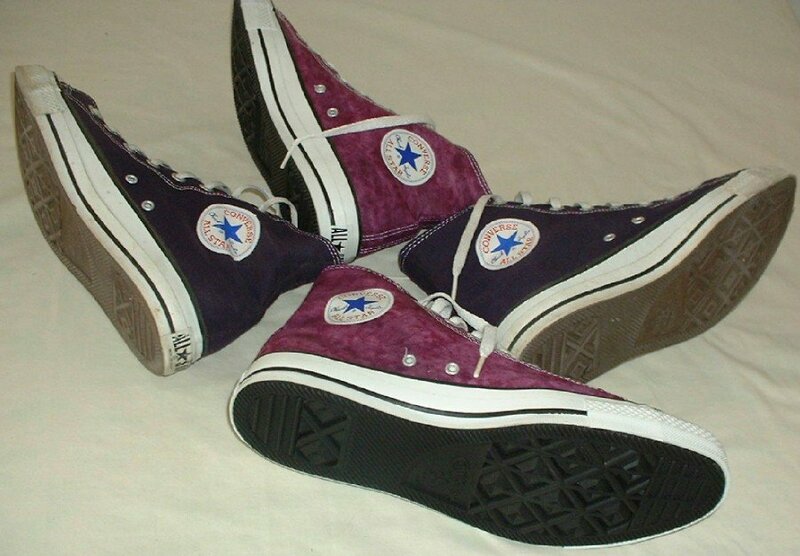 97 Purple HIgh Top Chucks Top view of purple tie dye high tops. 98 Purple HIgh Top Chucks Front view of purple tie dye high tops. 99 Purple HIgh Top Chucks Angled front view of purple tie dye high tops. 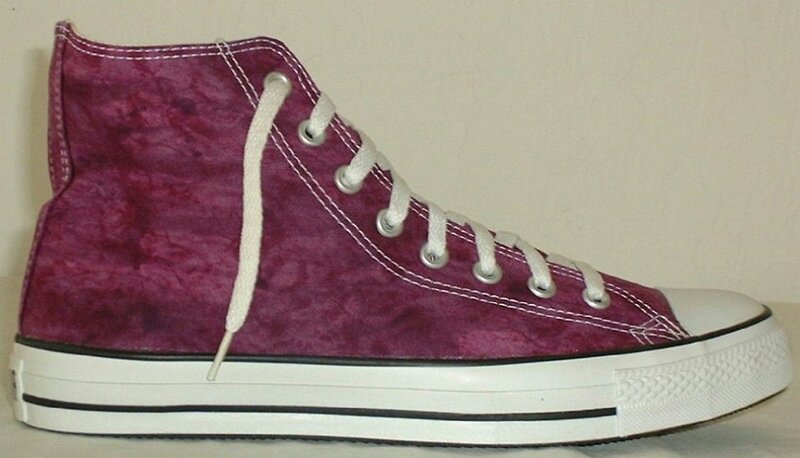 100 Purple HIgh Top Chucks inside patch and sole views of purple tie dye high tops. 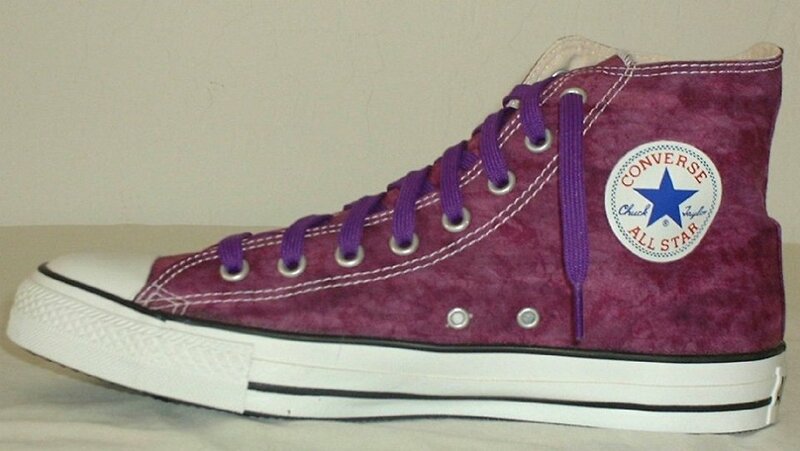 101 Purple HIgh Top Chucks Inside patch view of a right purple tie dye high top with purple shoelace. 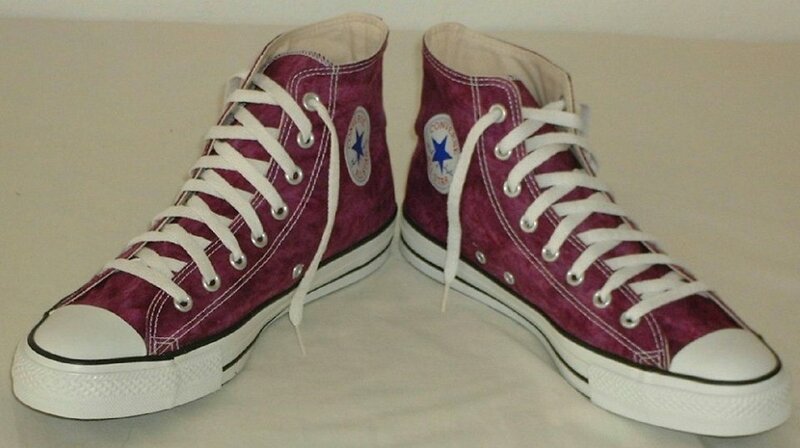 102 Purple HIgh Top Chucks Front view of a right purple tie dye high top with purple shoelace. 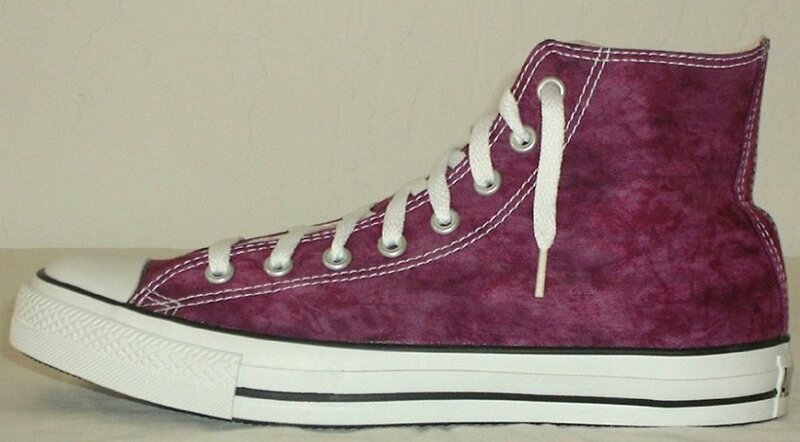 103 Purple HIgh Top Chucks Outside view of a right purple tie dye high top with purple shoelace. 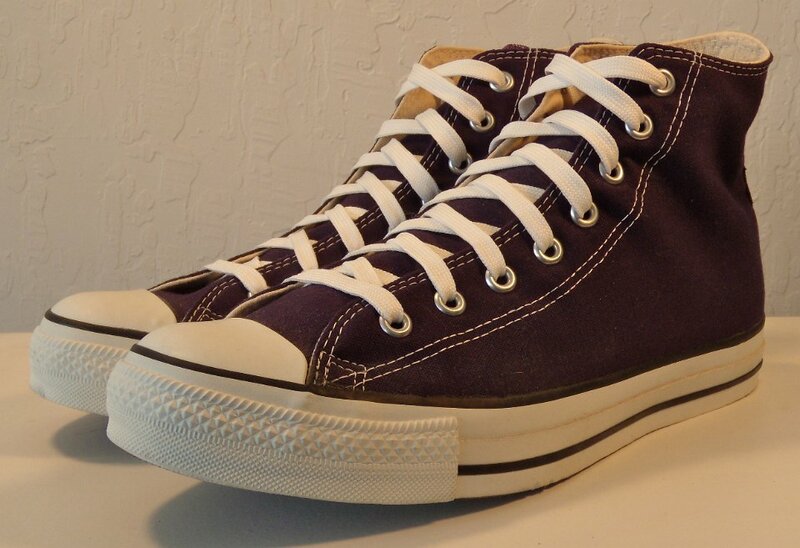 104 Purple High Top Chucks Inside patch view of a right made in USA purple high top. 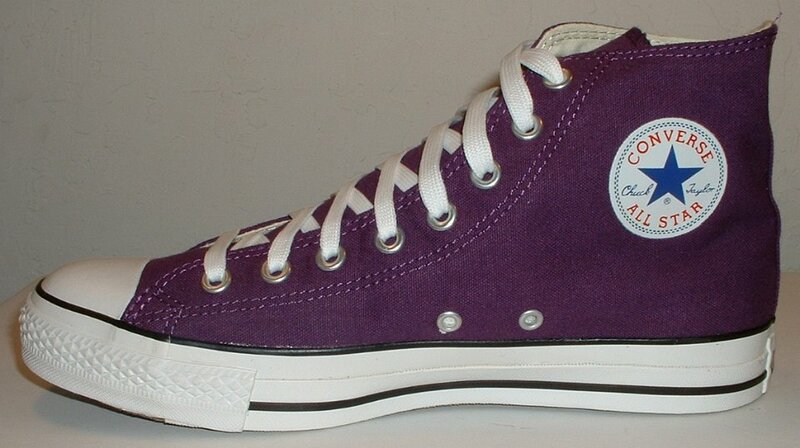 105 Purple High Top Chucks Outside view of a right made in USA purple high top. 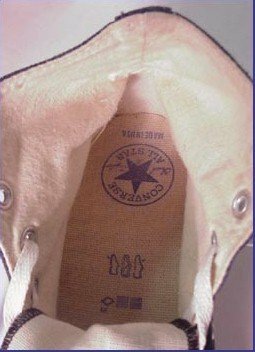 106 Purple High Top Chucks Inside patch view of a left made in USA purple high top. 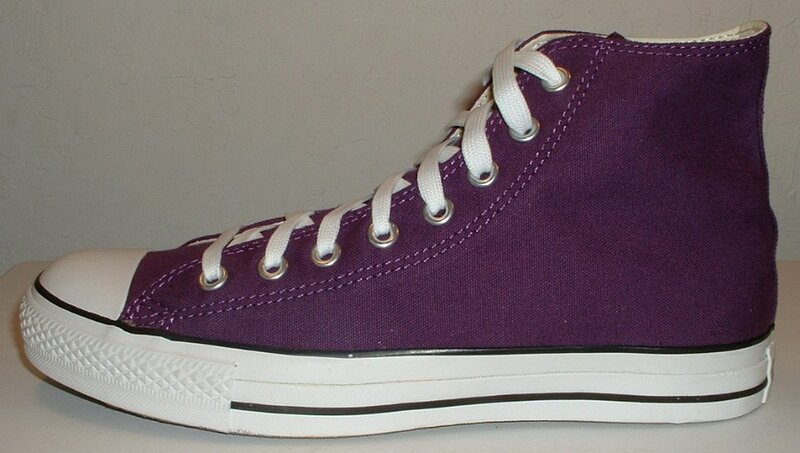 107 Purple High Top Chucks Outside view of a made in USA purple high top. 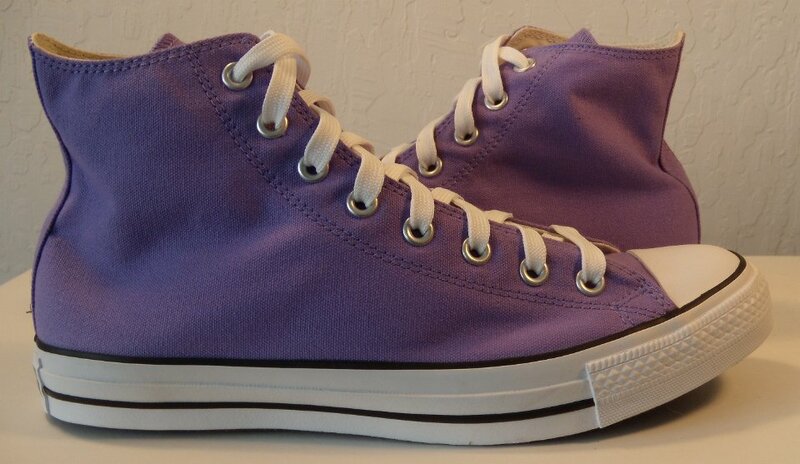 108 Purple High Top Chucks Rear view of made in USA purple high tops. 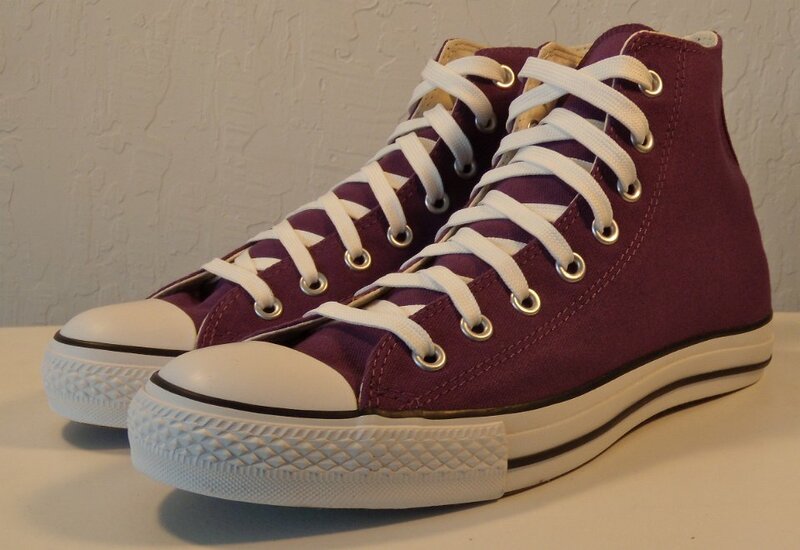 109 Purple High Top Chucks Angled rear view of made in USA purple high tops. 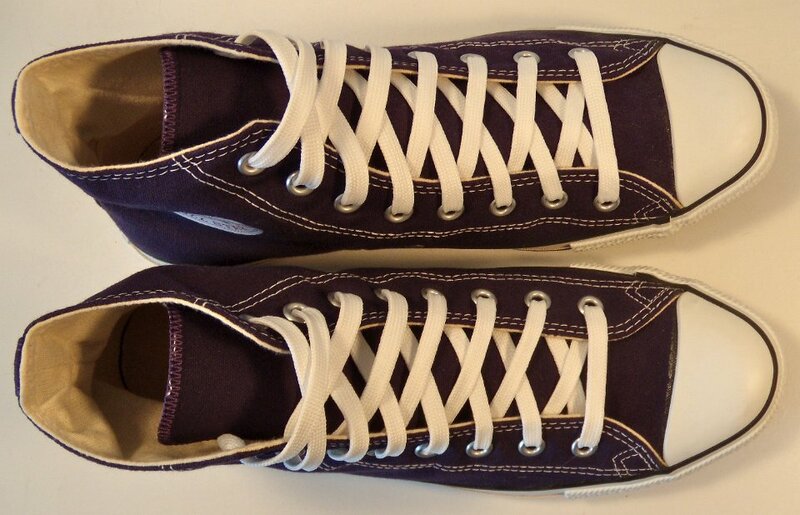 110 Purple High Top Chucks Angled side view of made in USA purple high tops. 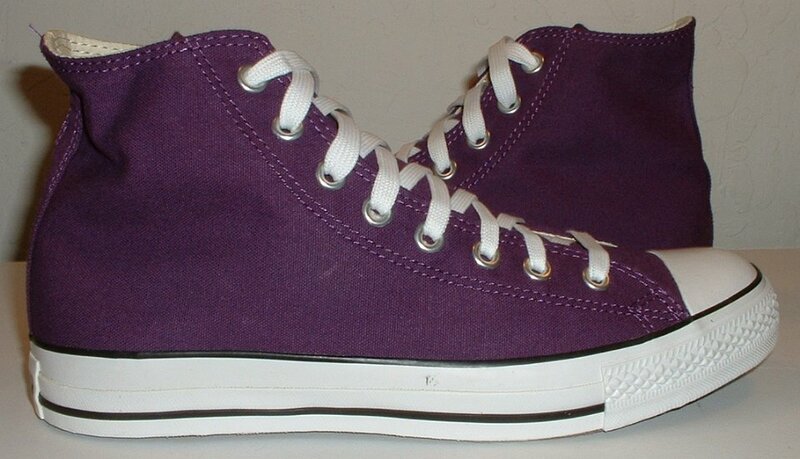 111 Purple High Top Chucks Front view of made in USA purple high tops. 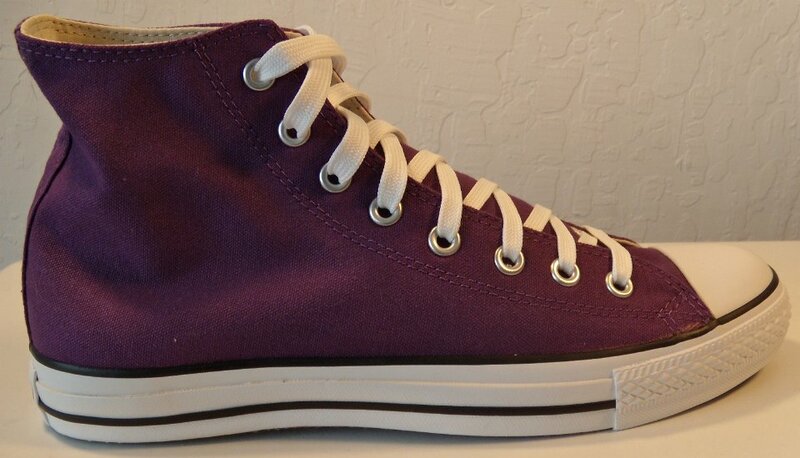 112 Purple High Top Chucks Angled front view of made in USA purple high tops. 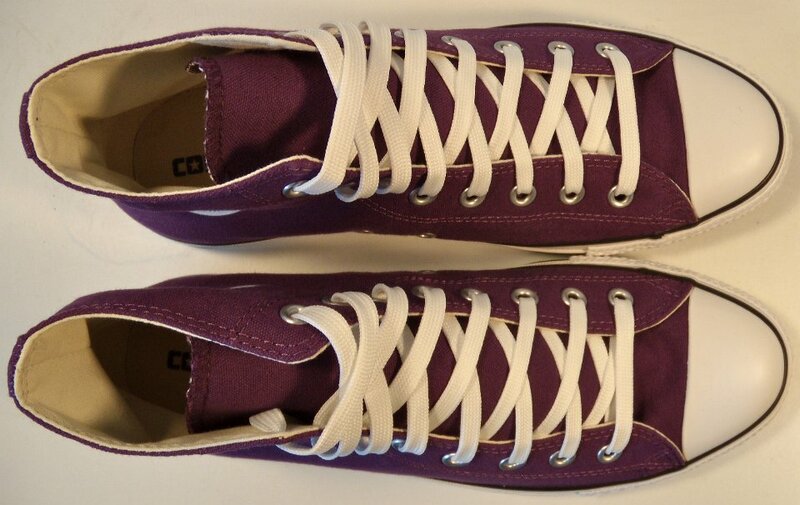 113 Purple High Top Chucks Top view of mad in USA purple high tops. 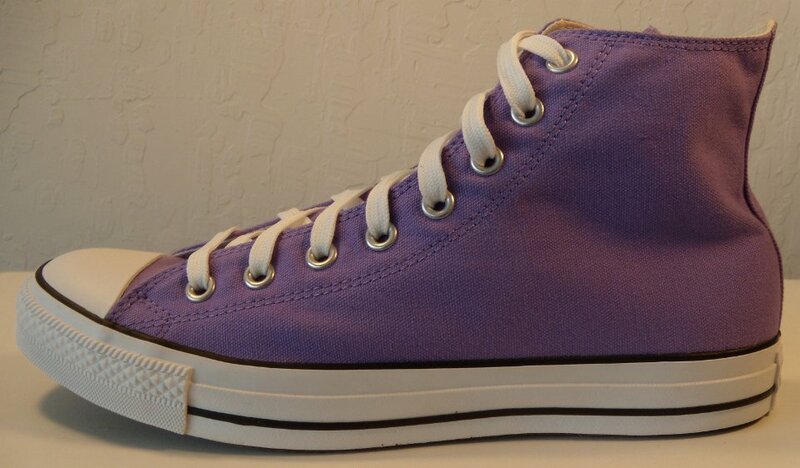 114 Purple High Top Chucks Inside patche views of made in USA purple high tops. 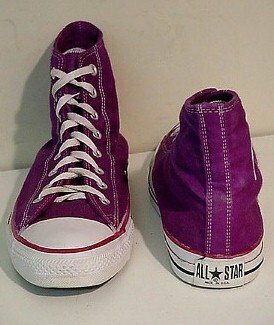 115 Purple High Top Chucks Outside views of mad in USA purple high tops. 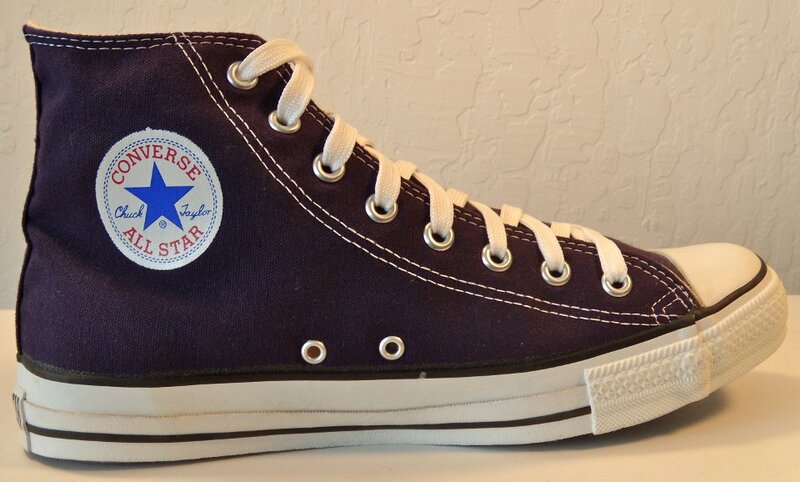 116 Purple High Top Chucks Inside patch and sole views of made in USA purple high tops. 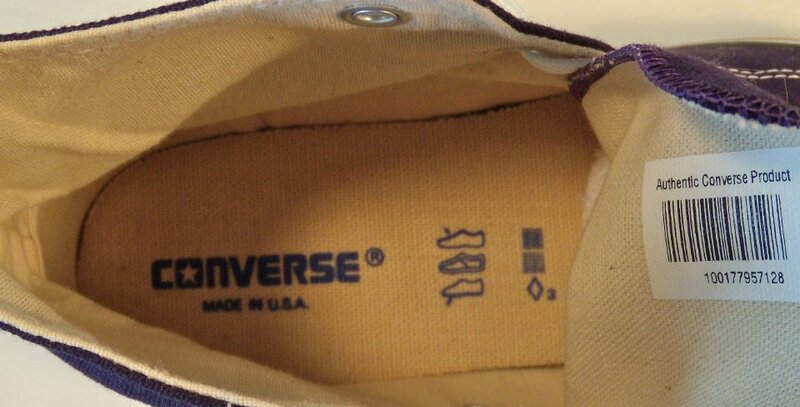 117 Purple High Top Chucks Closeup of the insole of a purple made in USA hightop. 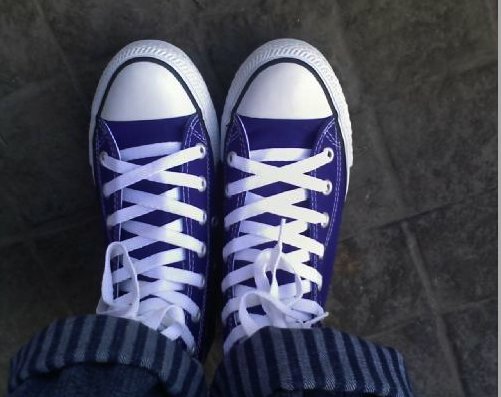 118 Purple HIgh Top Chucks Inside patch view of a left rage purple high top. 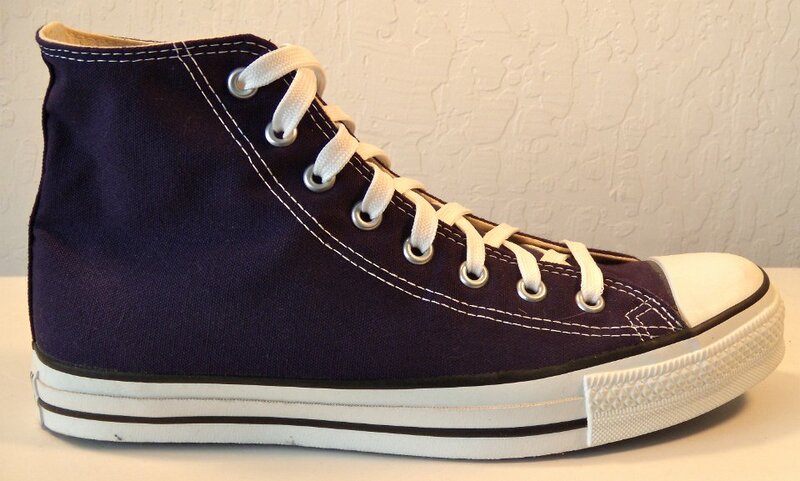 119 Purple HIgh Top Chucks Inside patch view of a right rage purple high top. 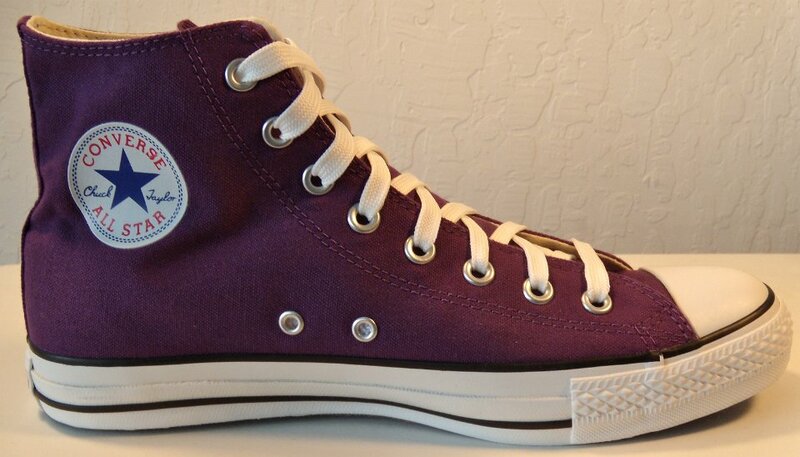 120 Purple HIgh Top Chucks Angled front view of rage purple high tops. 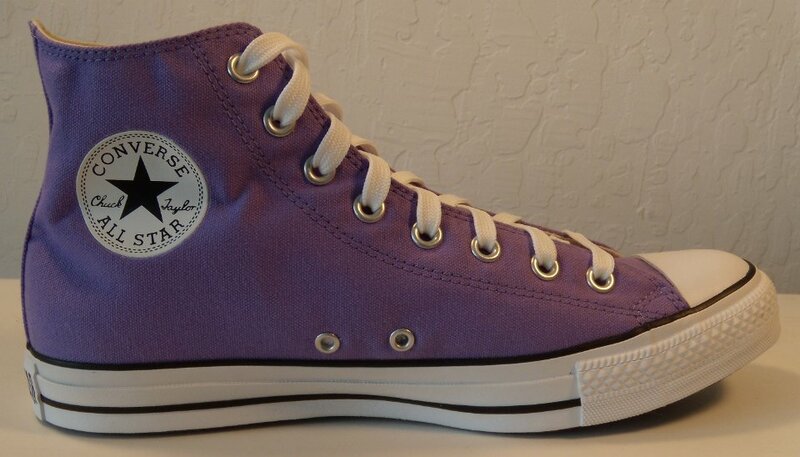 121 Purple HIgh Top Chucks Front view of rage purple high tops. 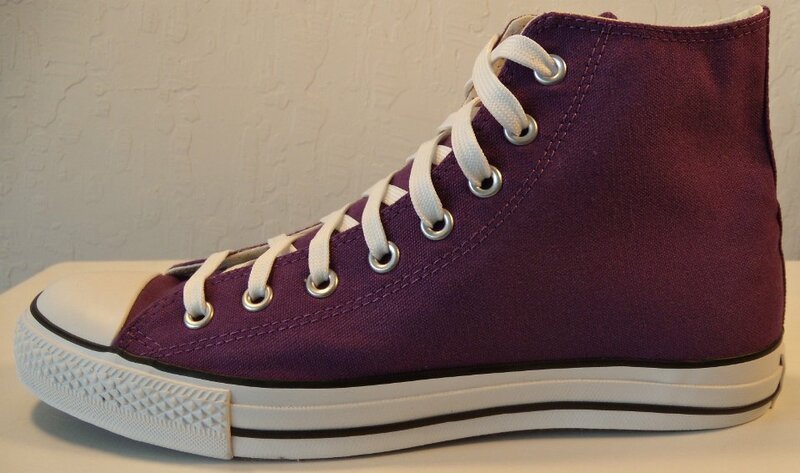 122 Purple HIgh Top Chucks Rear view of rage purple high tops. 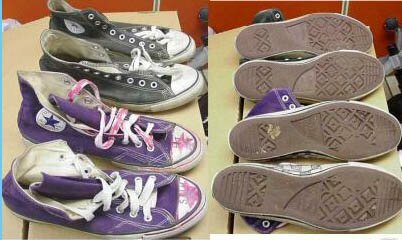 123 Purple HIgh Top Chucks Inside patch and sole views of rage purple high tops. 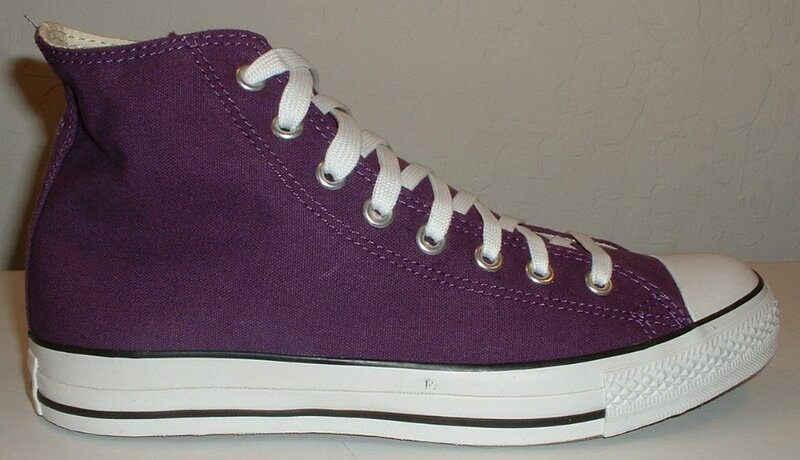 124 Purple HIgh Top Chucks Right side view of rage purple high tops. 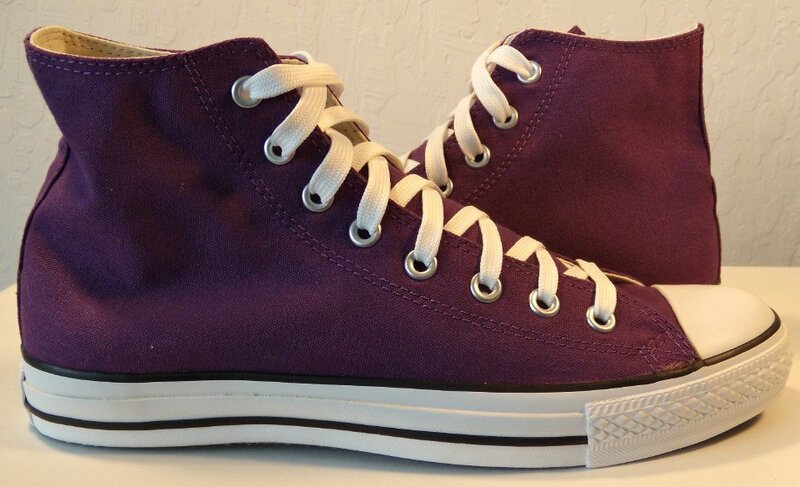 125 Purple HIgh Top Chucks Left side view of rage purple high tops. 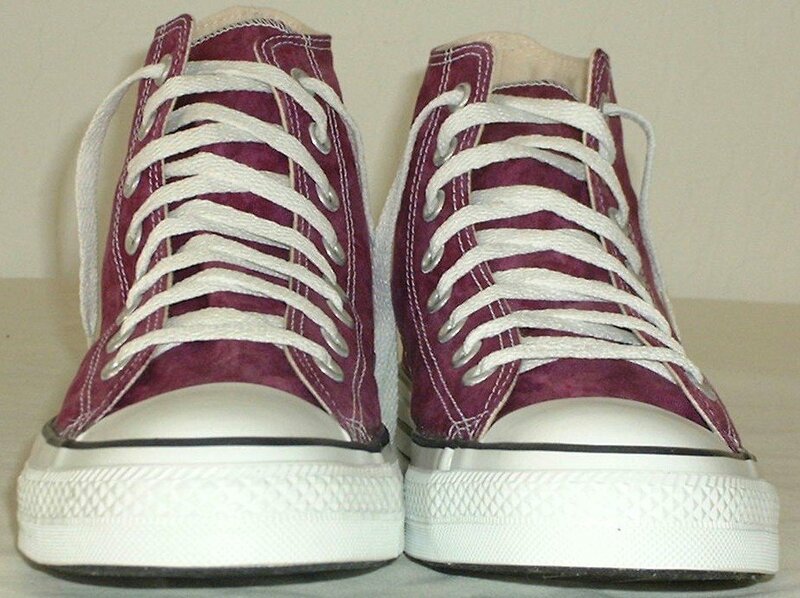 126 Purple HIgh Top Chucks Vintage purple high tops, angled top view. 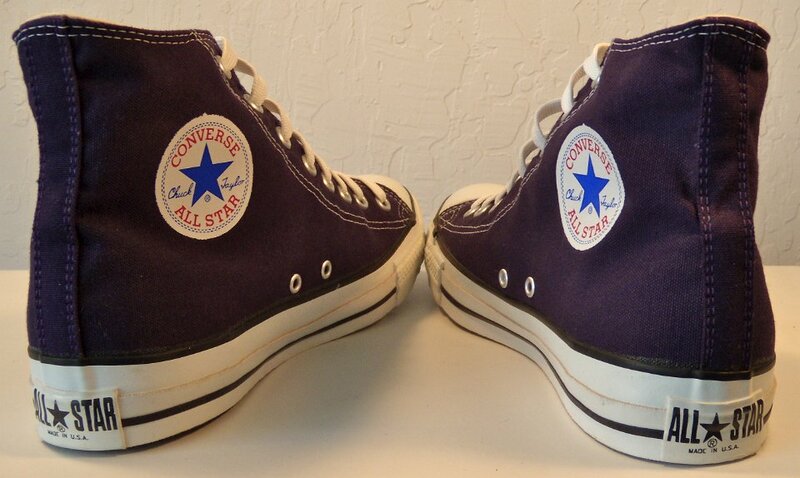 127 Purple HIgh Top Chucks Vintage purple high tops, inside patch and sole views. 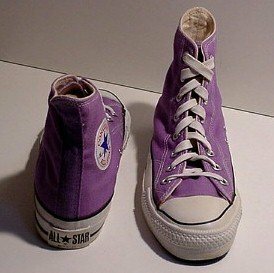 128 Purple HIgh Top Chucks Vintage purple high tops, front and rear views. 129 Purple High Top Chucks Wearing purple high top chucks. 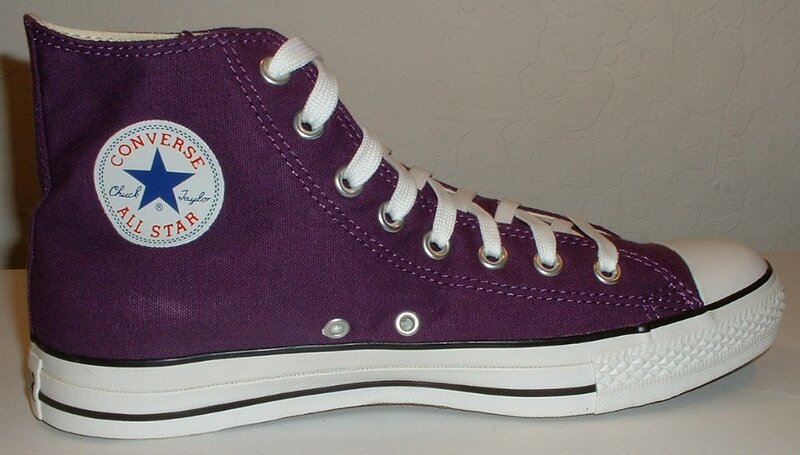 130 Purple High Top Chucks Wearing purple high top chucks. 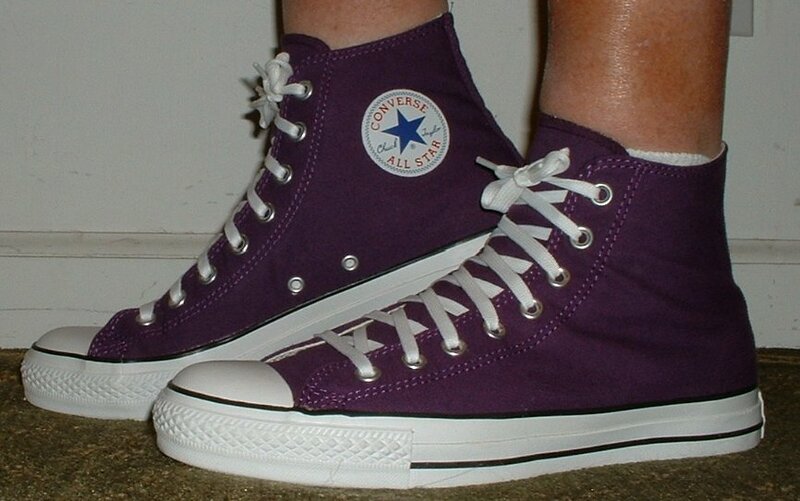 131 Purple High Top Chucks Wearing purple high top chucks. 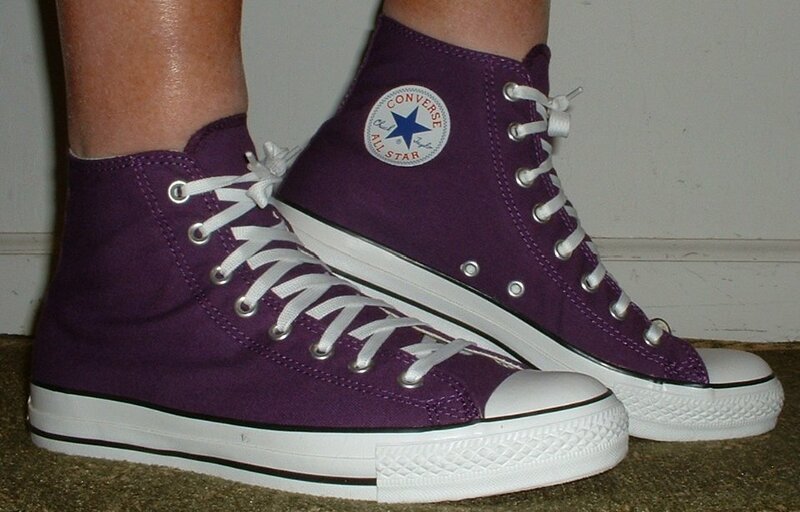 132 Purple High Top Chucks Wearing purple high top chucks. 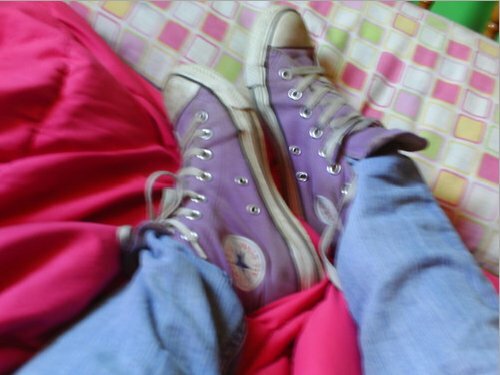 133 Purple High Top Chucks Wearing purple high top chucks. 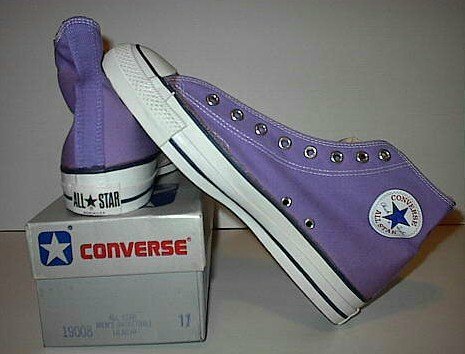 134 Purple High Top Chucks Wearing purple high top chucks. 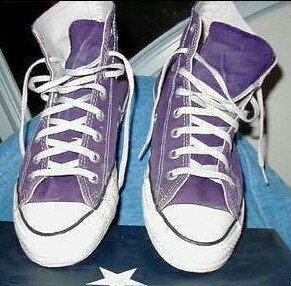 135 Purple High Top Chucks Wearing purple high top chucks. 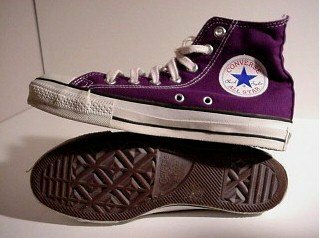 136 Purple HIgh Top Chucks Wearing purple high top chucks. 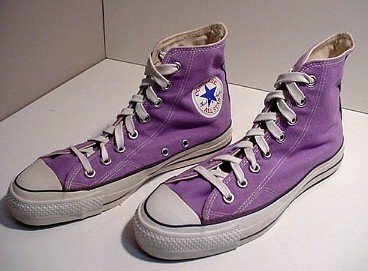 137 Purple High Top Chucks Wearing purple high top chucks. 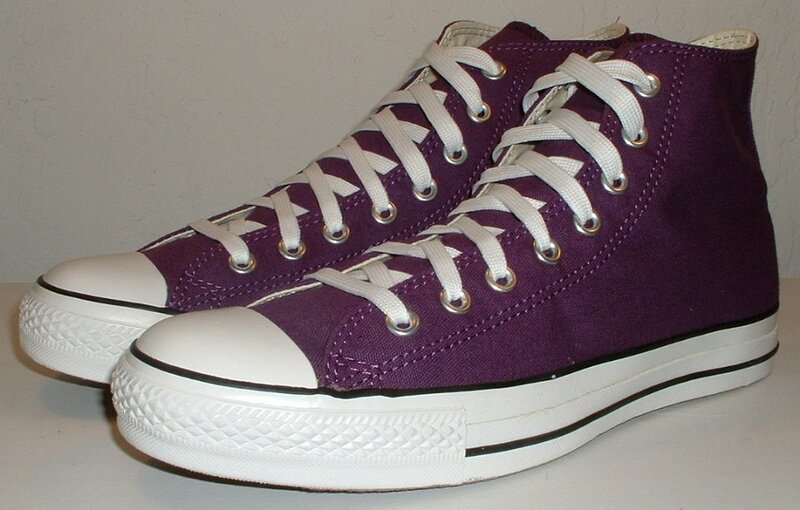 138 Purple High Top Chucks Wearing purple high top chucks. 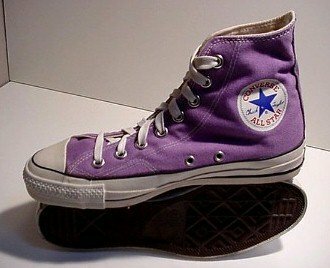 139 Purple High Top Chucks Wearing purple high top chucks. 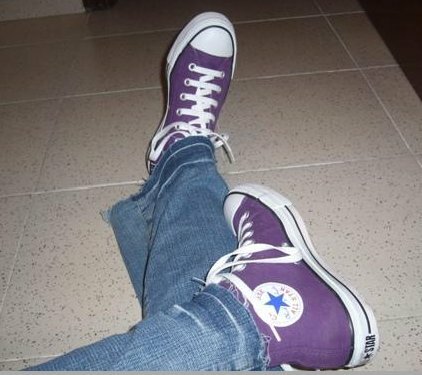 140 Purple High Top Chucks Wearing purple high top chucks. 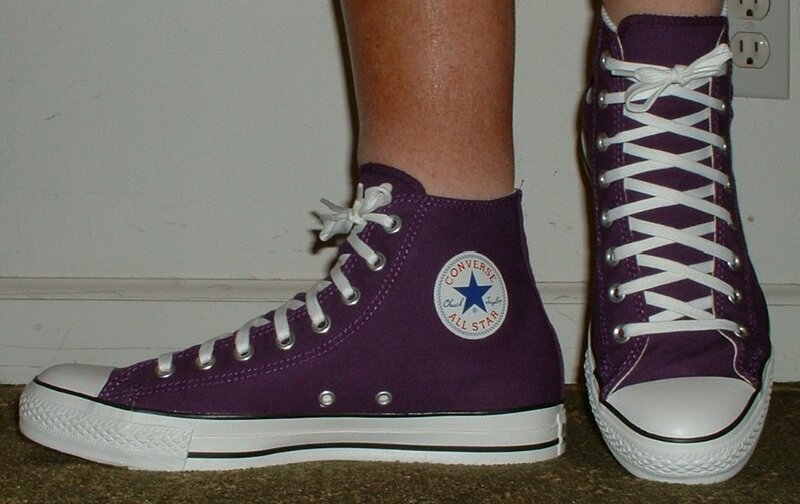 141 Purple High Top Chucks Wearing purple high top chucks. 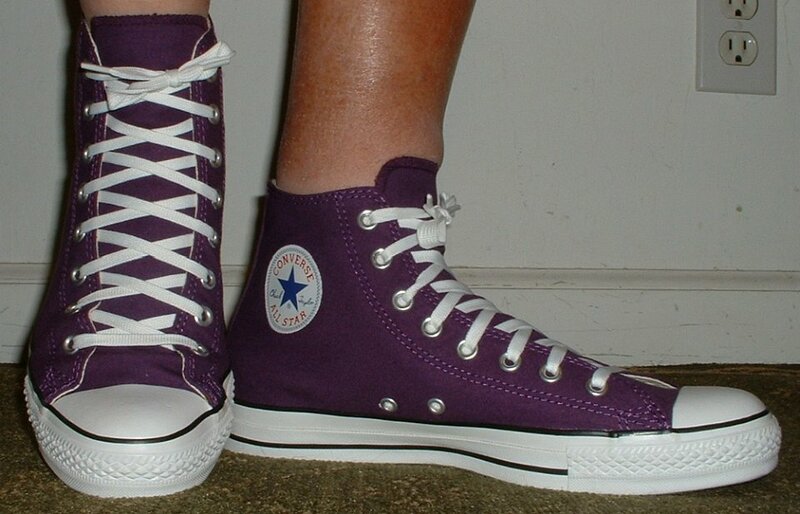 142 Purple HIgh Top Chucks Wearing purple high top chucks. 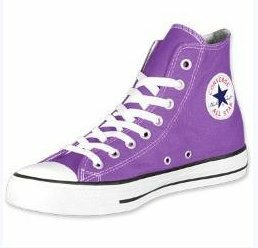 143 Purple HIgh Top Chucks Wearing purple high top chucks. 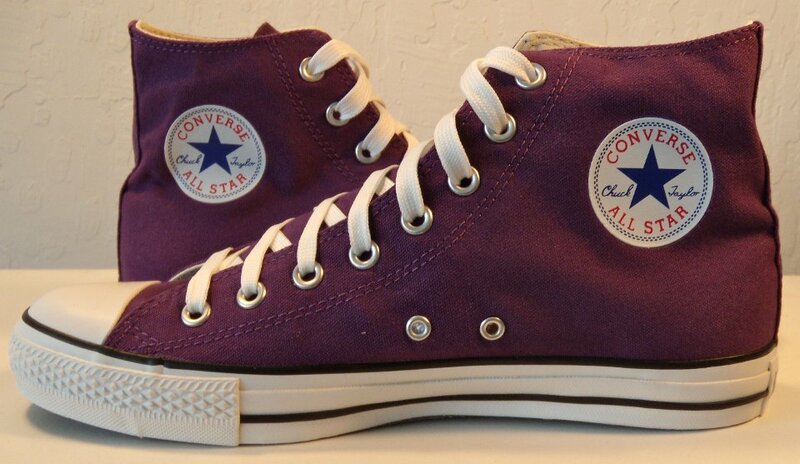 144 Purple High Top Chucks Wearing purple high top chucks. 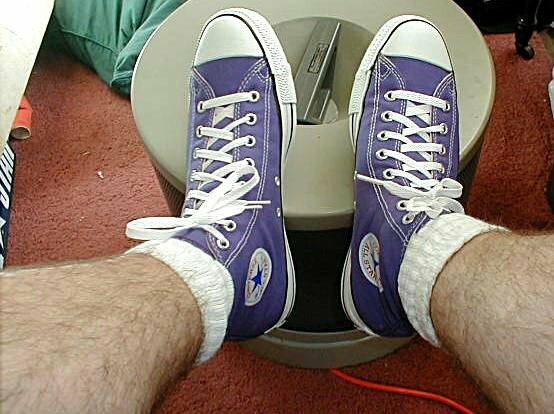 145 Purple High Top Chucks Wearing purple high top chucks. 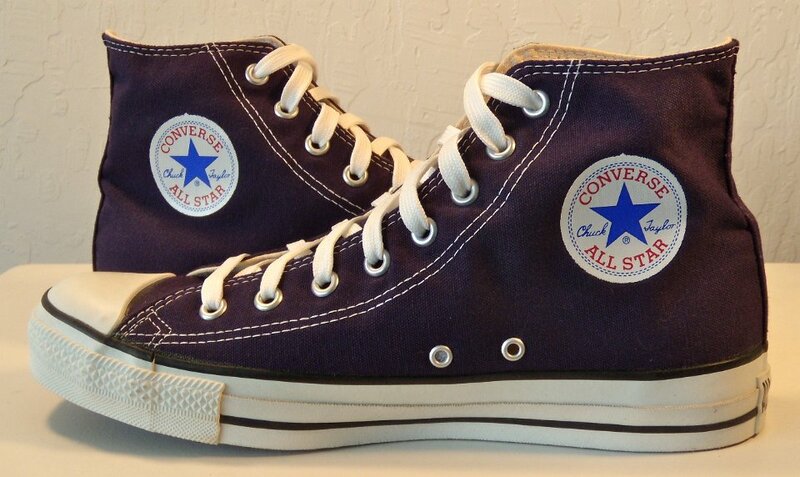 146 Purple HIgh Top Chucks Wearing purple high top chucks. 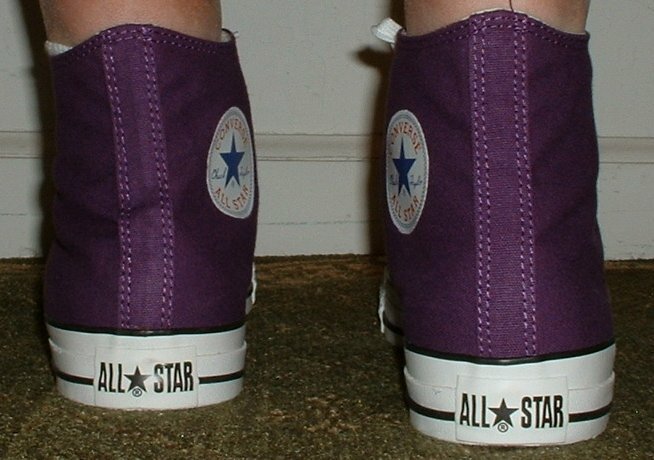 147 Purple HIgh Top Chucks Wearing purple high top chucks. 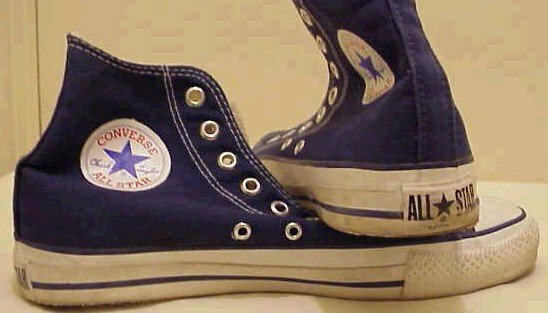 148 Purple HIgh Top Chucks Well worn purple high tops.